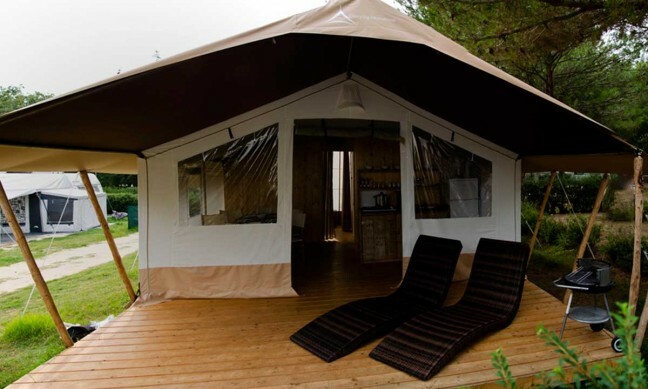 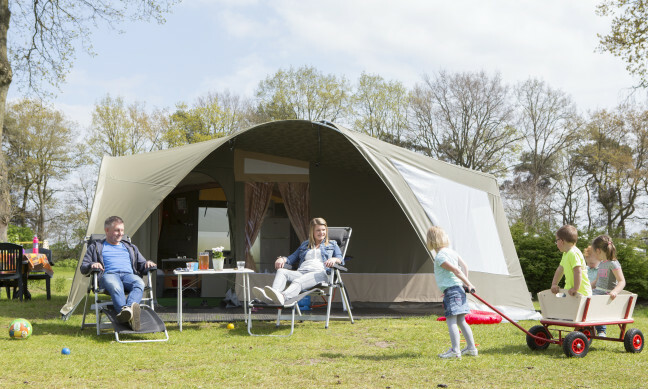 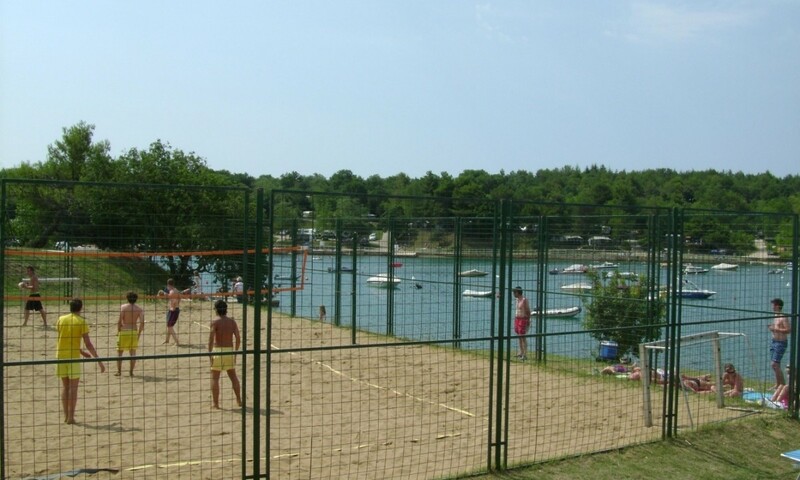 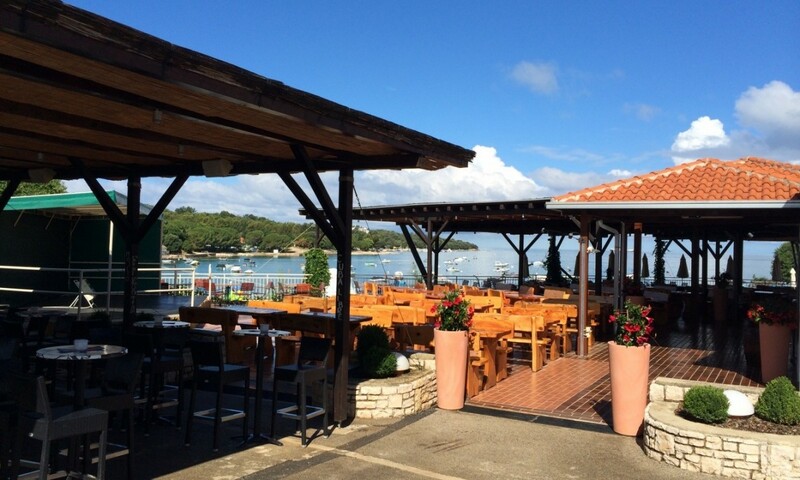 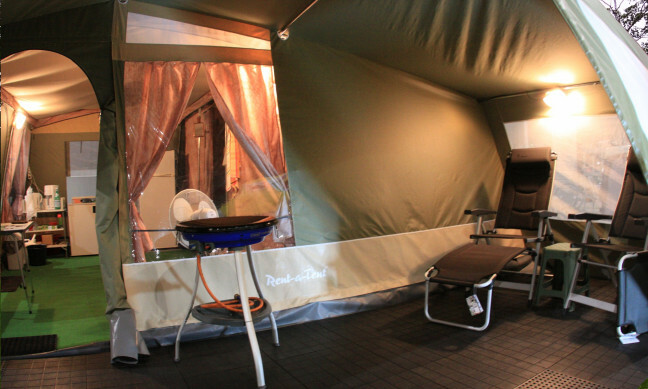 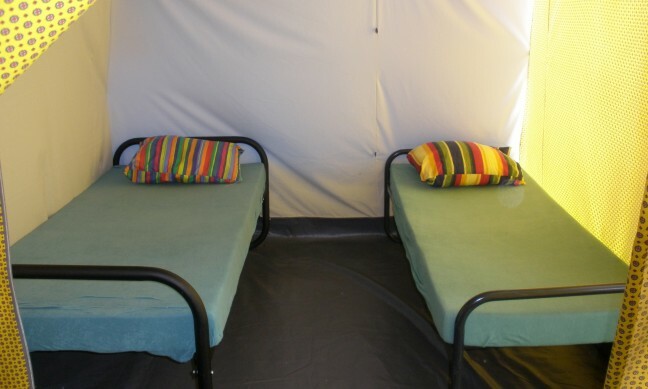 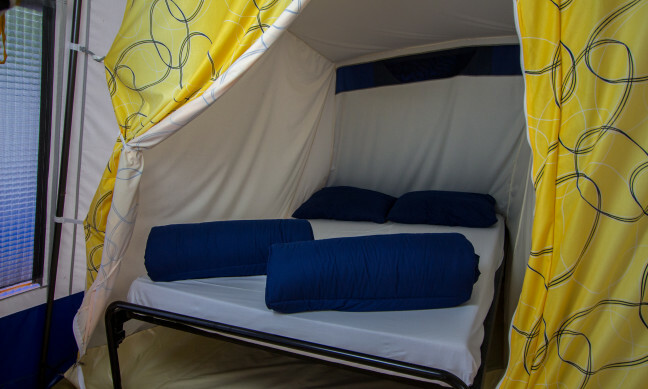 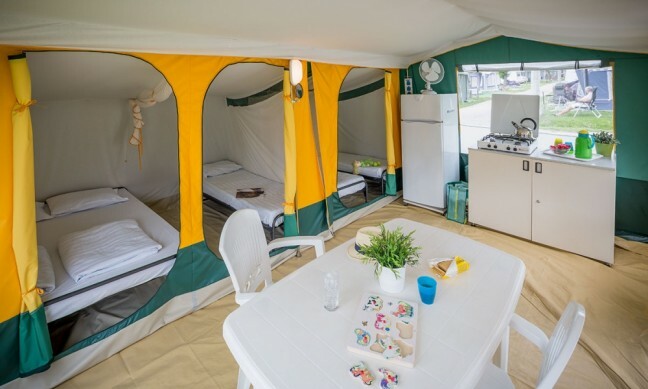 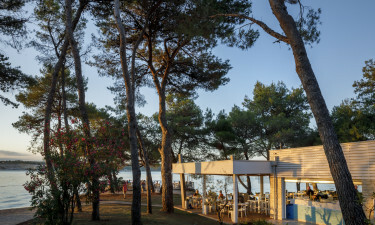 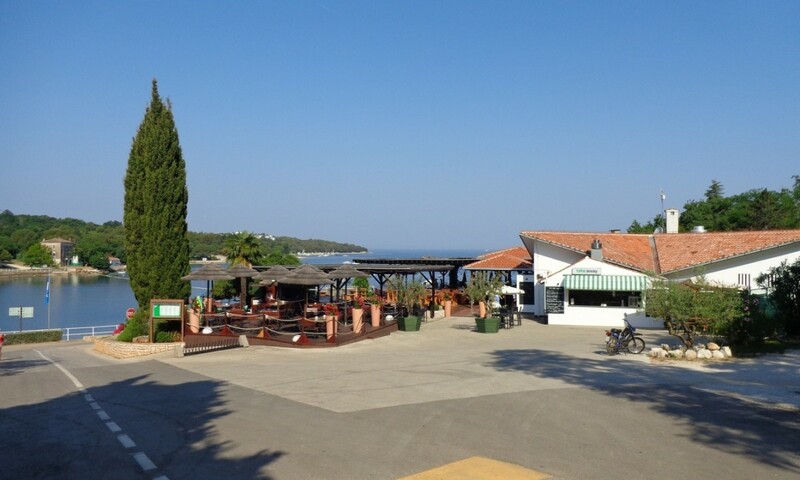 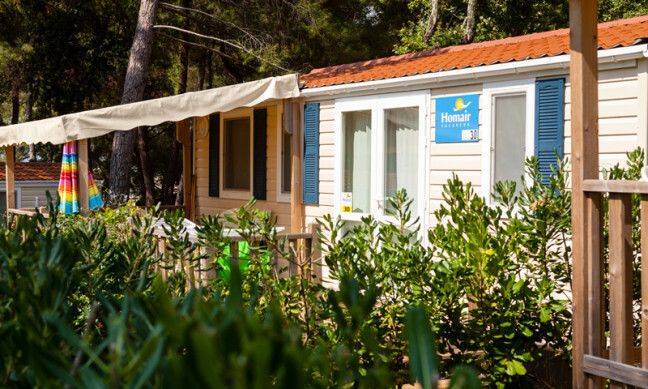 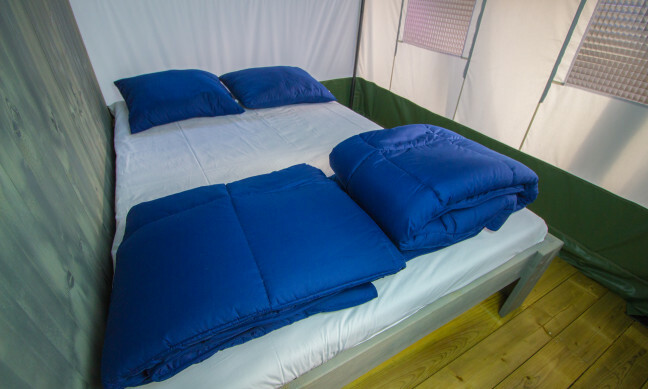 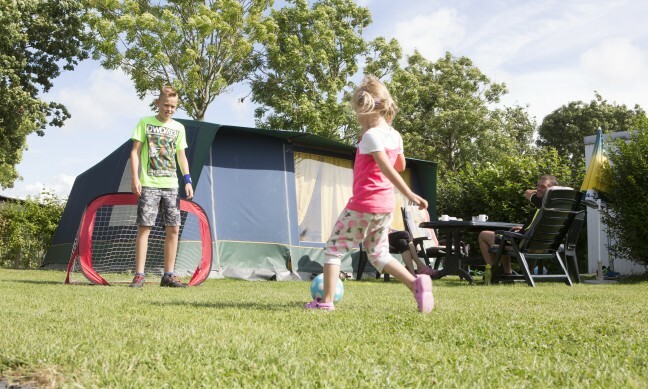 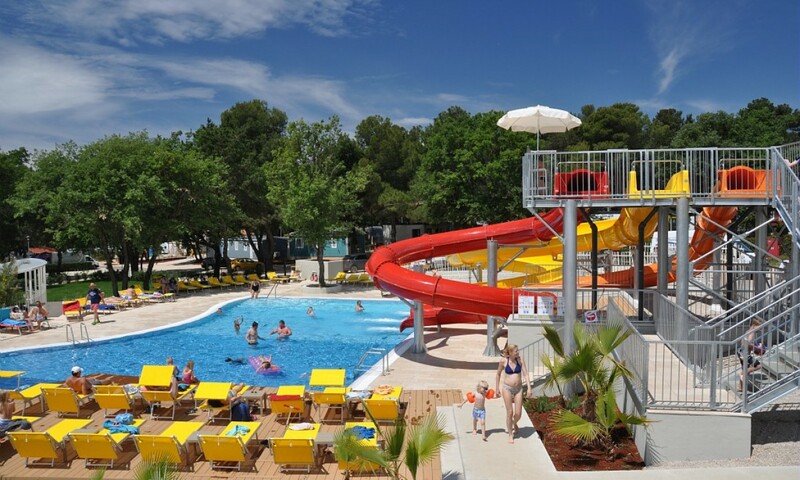 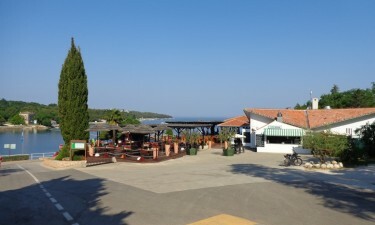 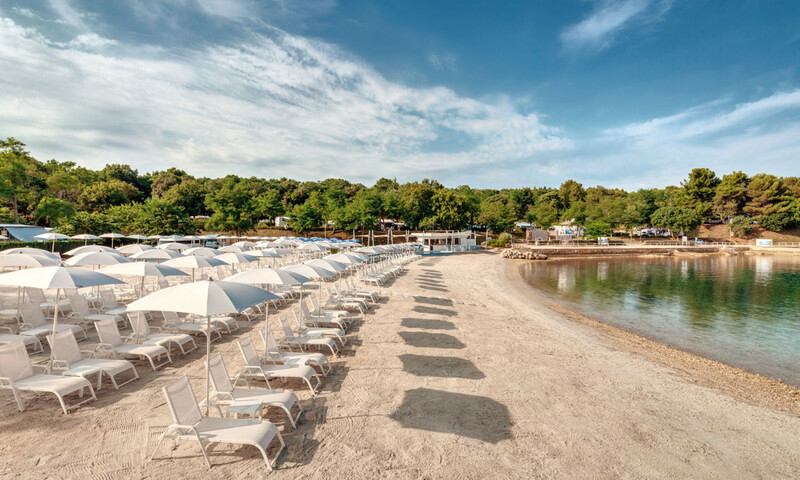 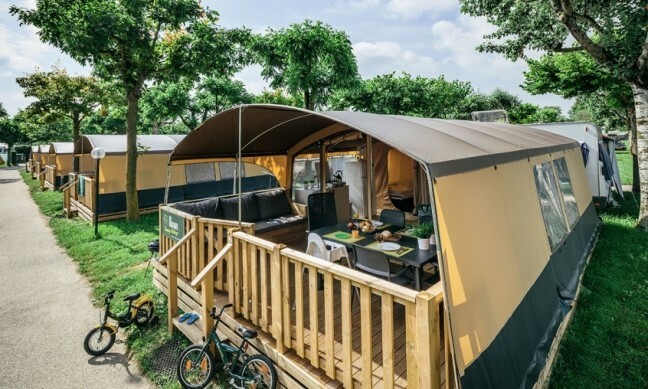 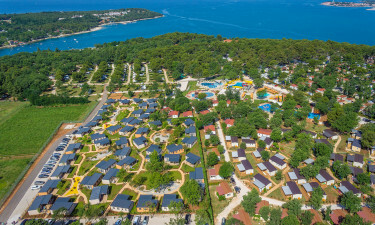 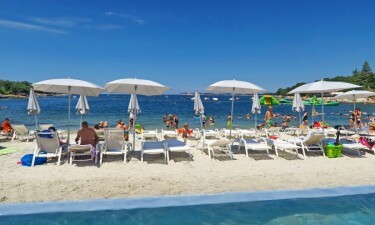 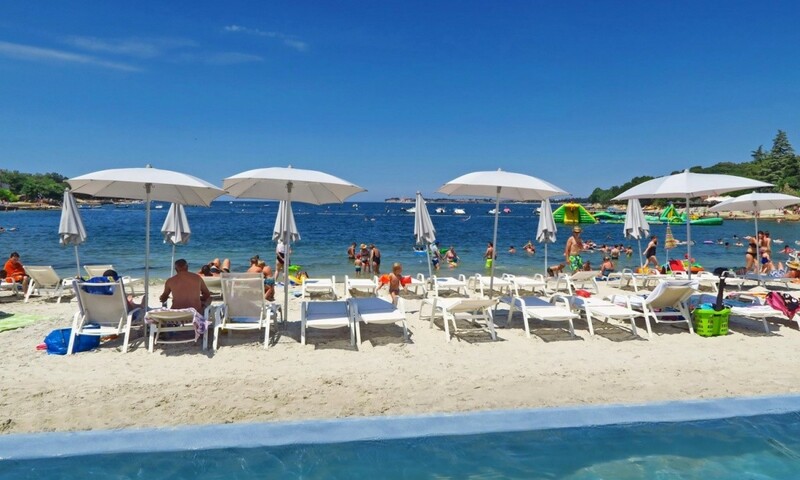 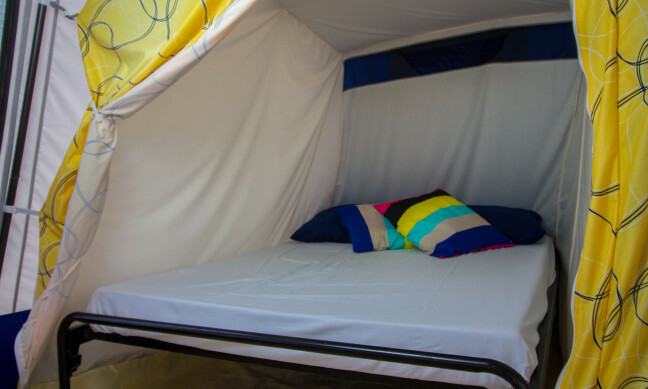 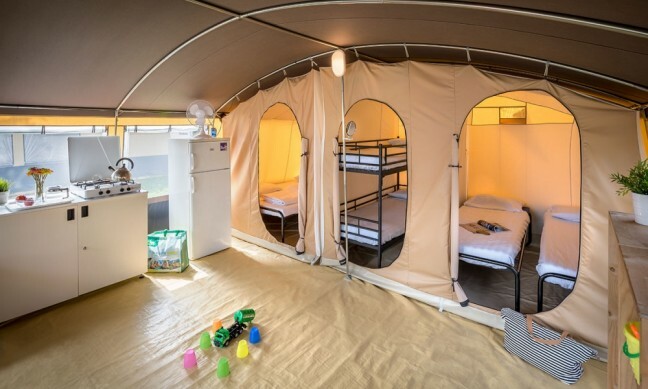 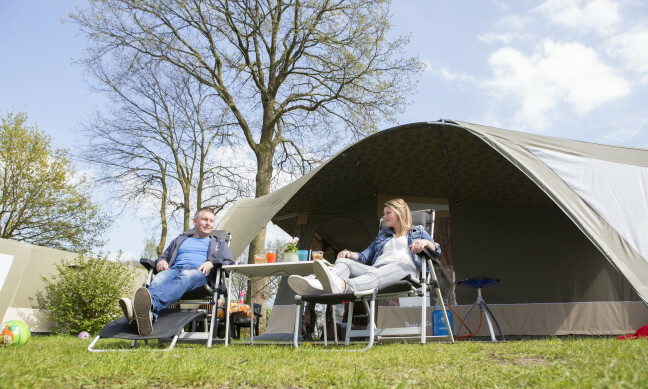 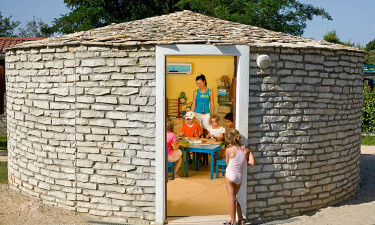 Camping Lanterna is situated on a peninsula about 8 miles from Porec and Umag. 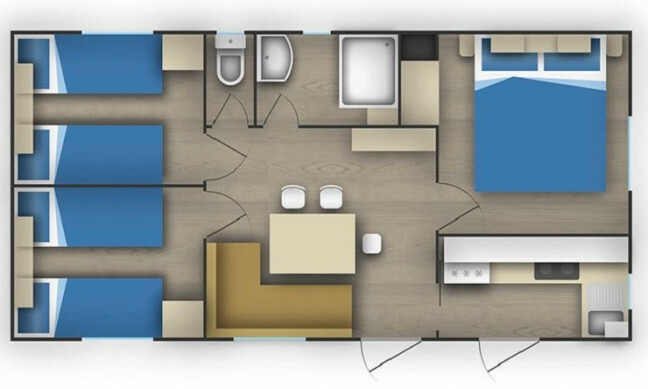 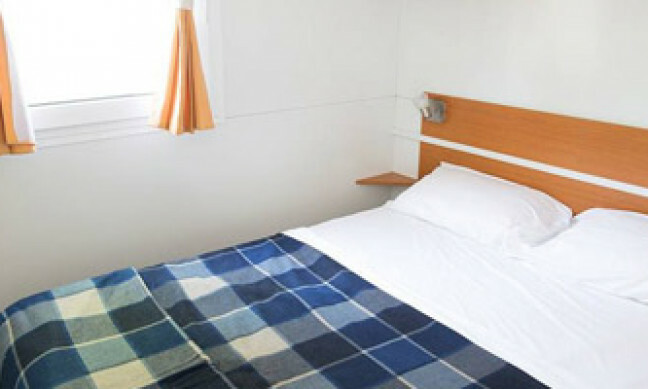 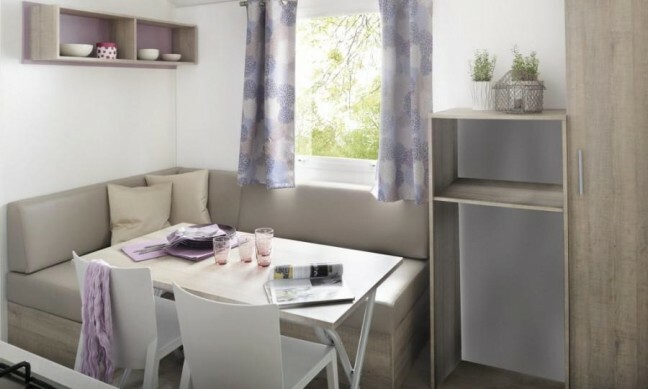 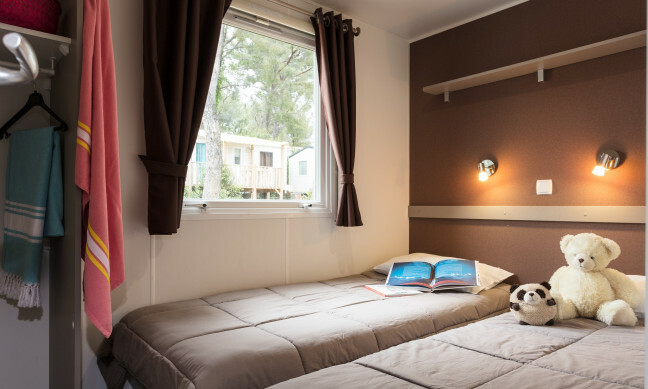 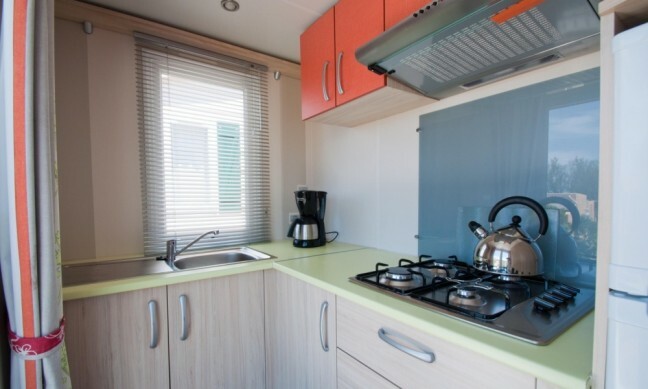 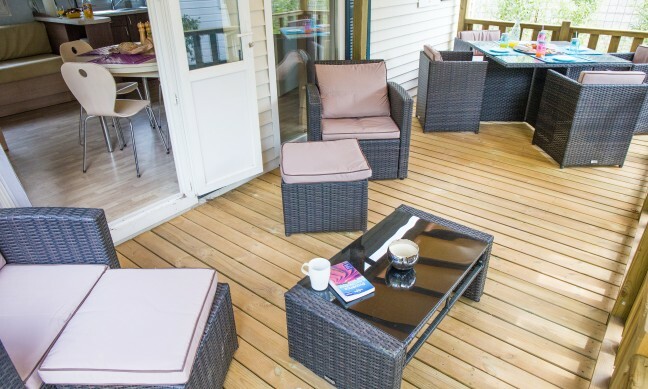 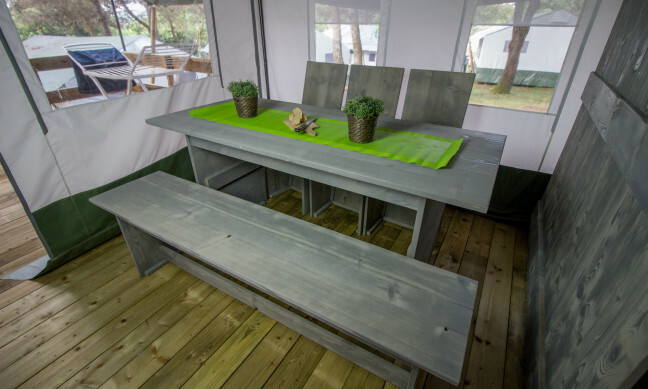 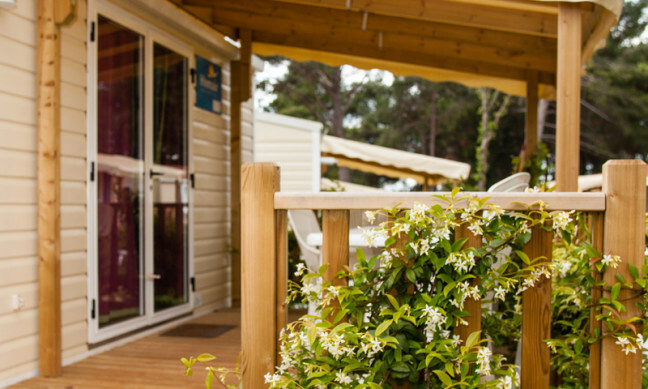 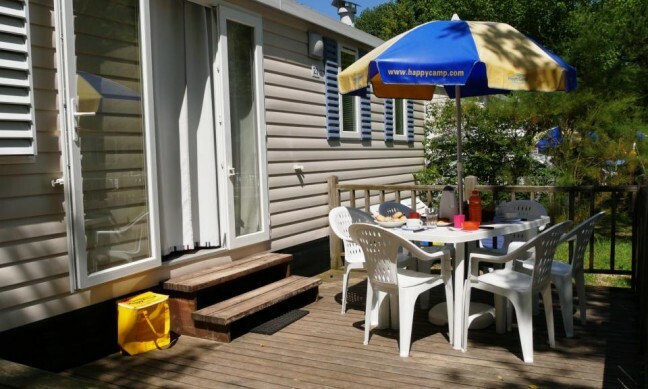 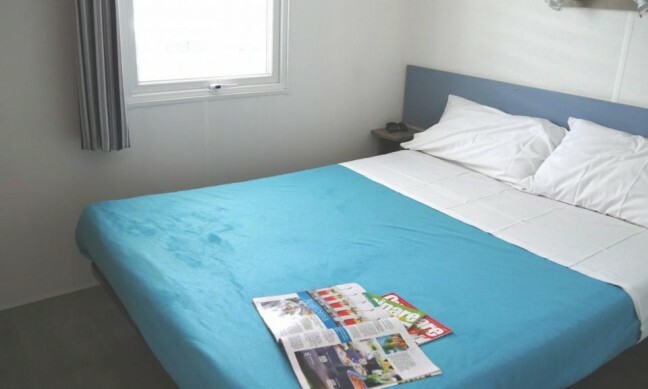 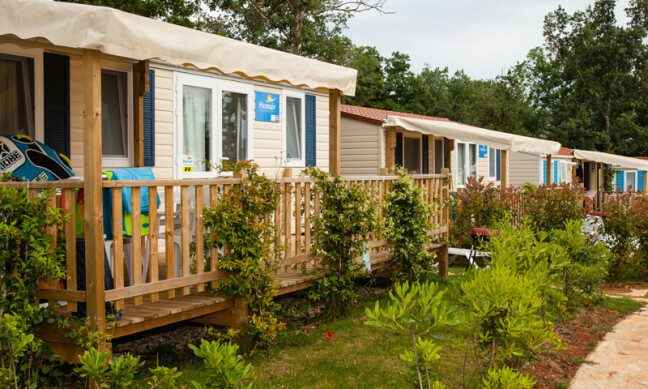 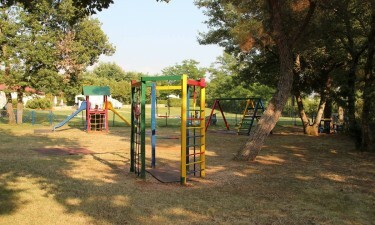 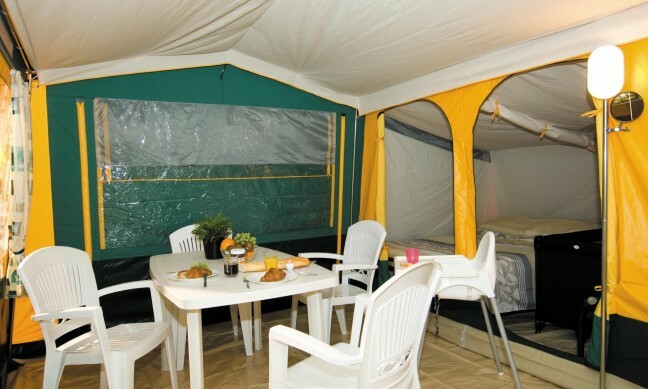 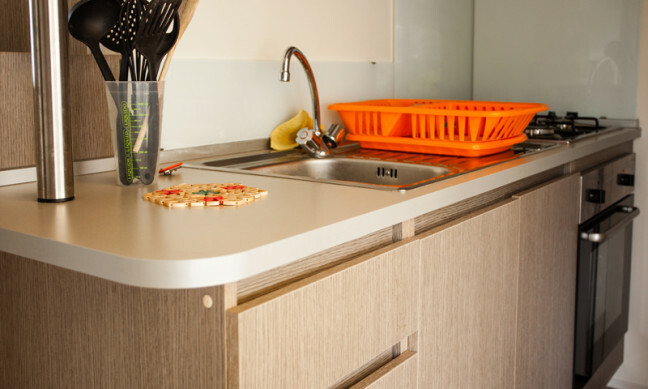 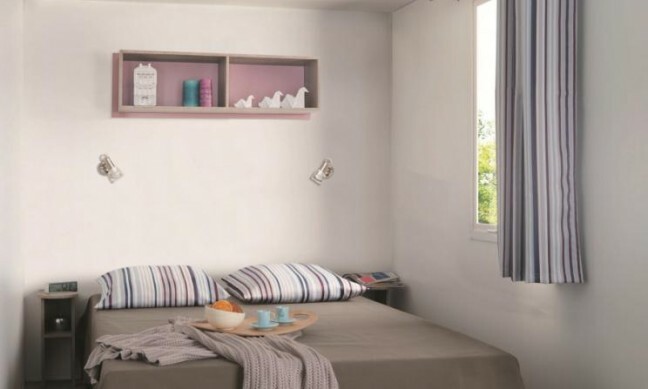 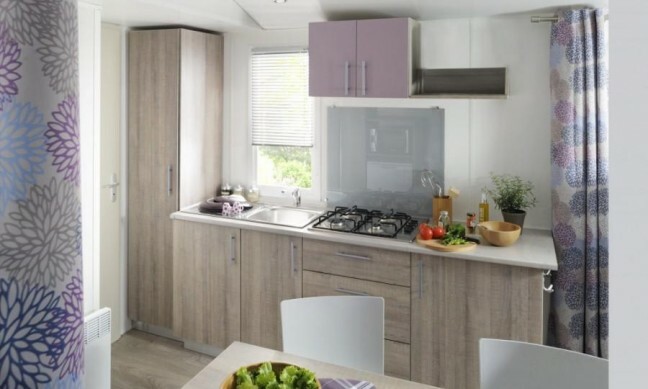 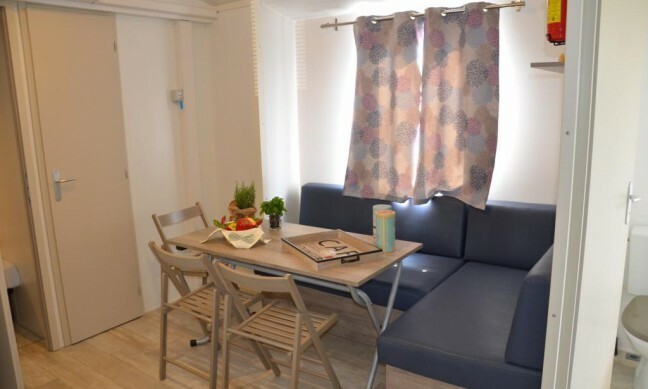 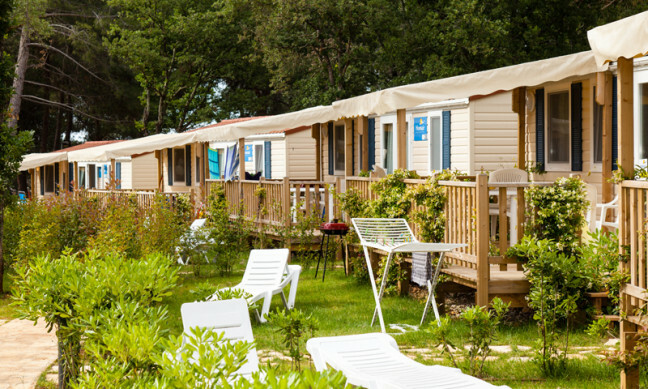 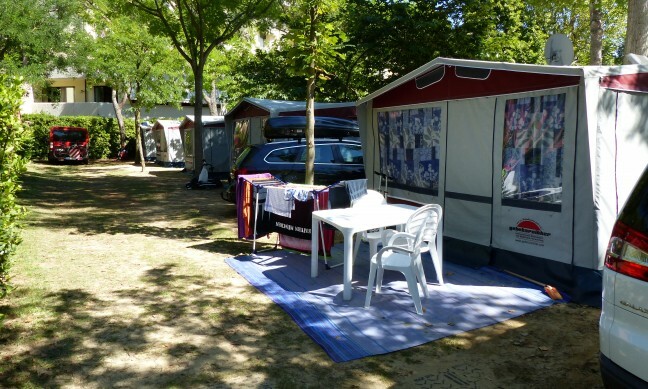 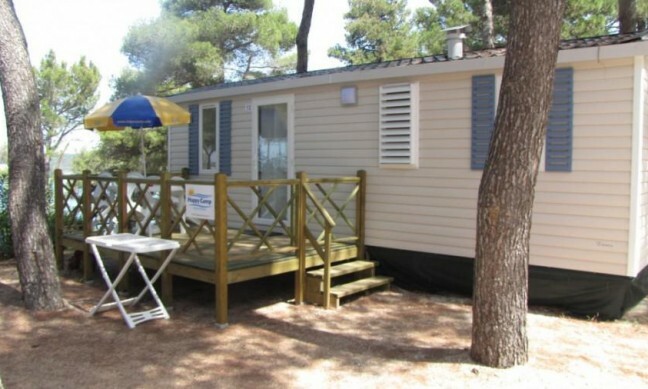 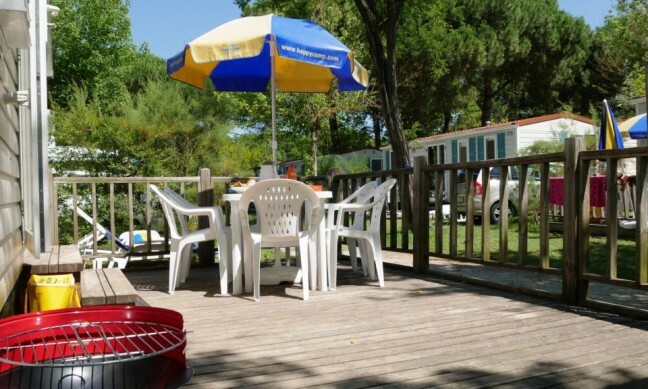 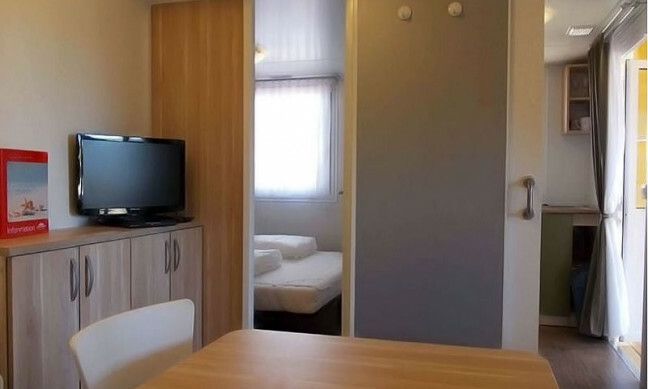 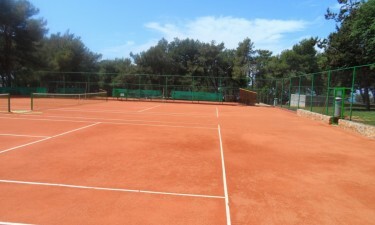 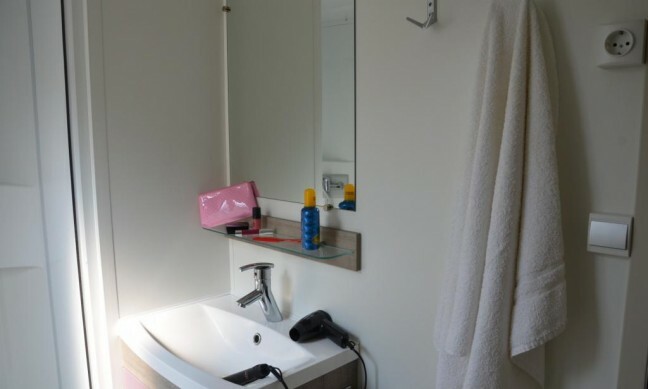 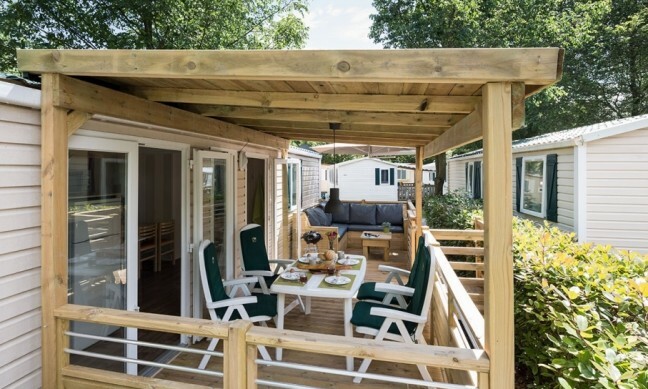 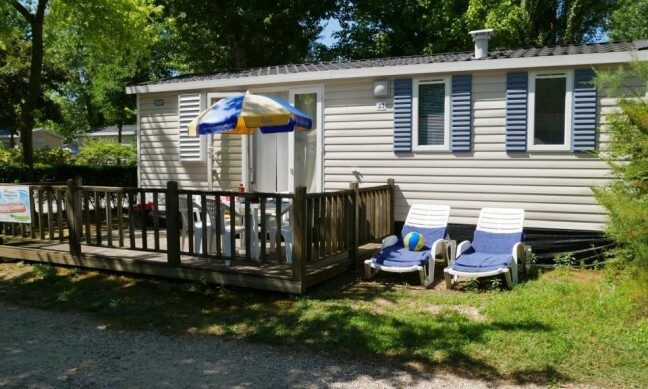 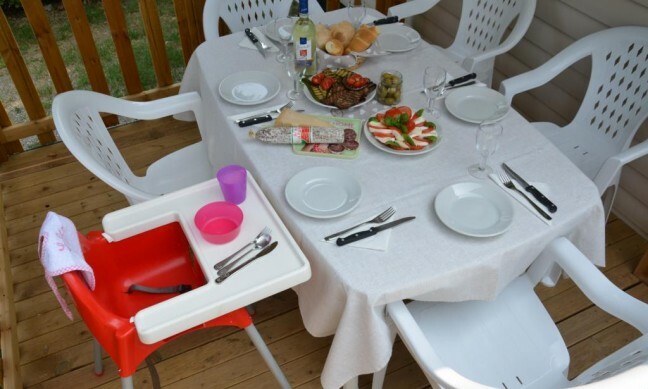 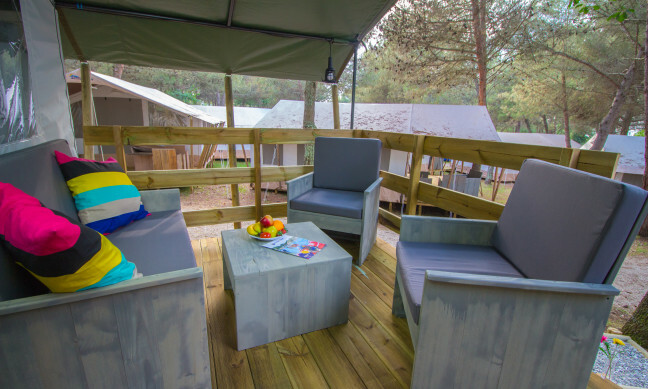 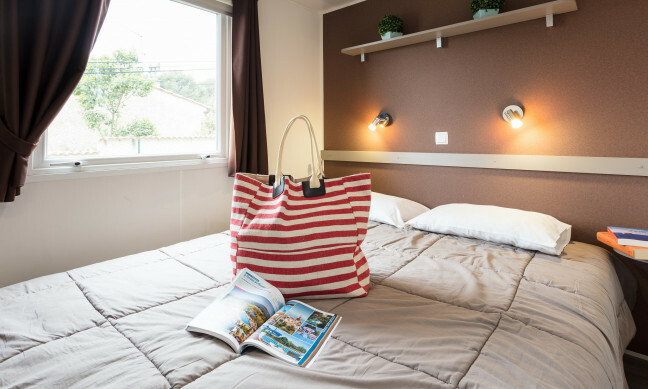 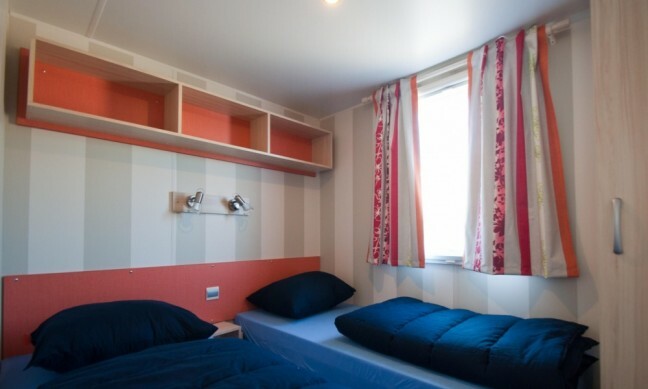 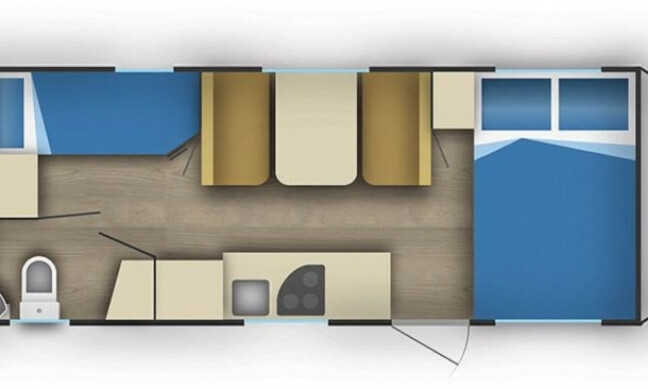 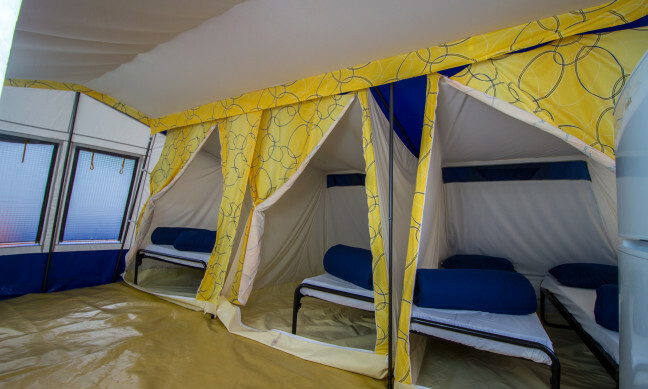 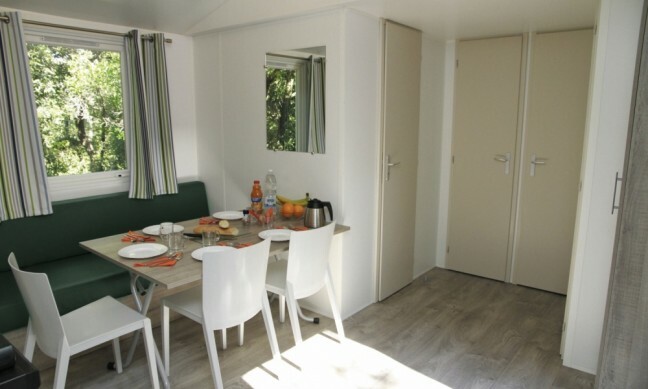 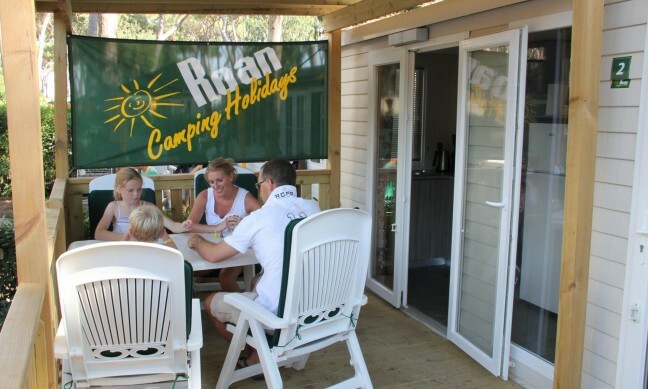 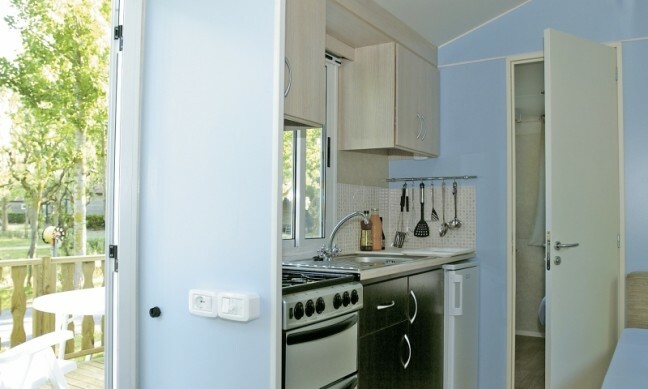 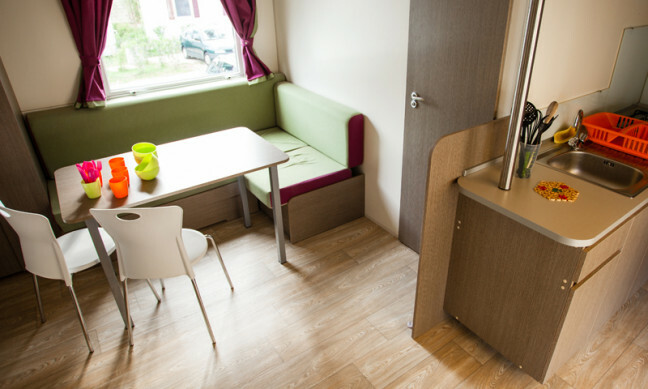 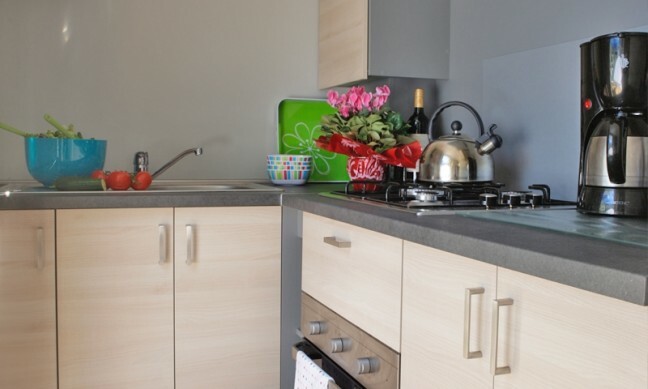 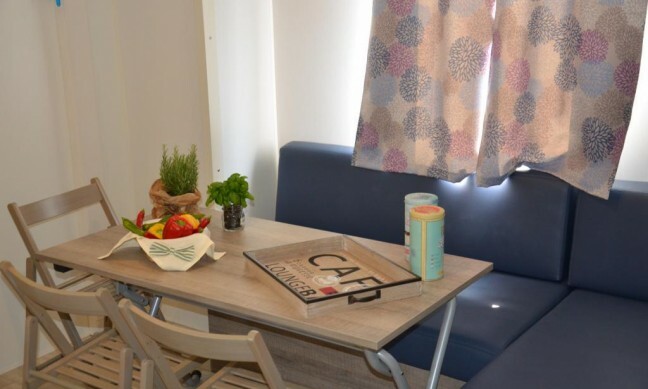 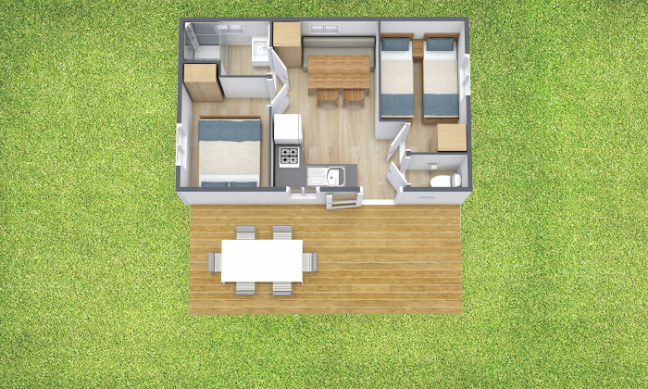 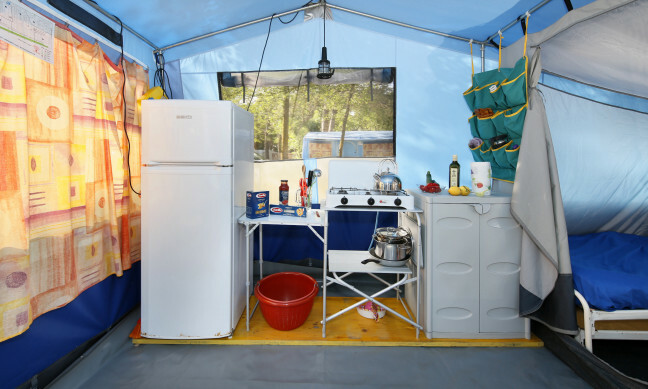 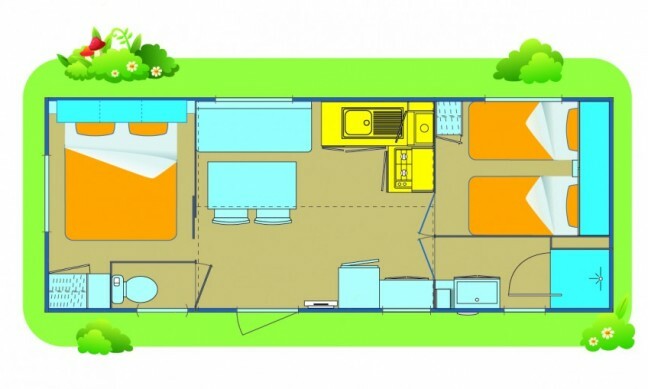 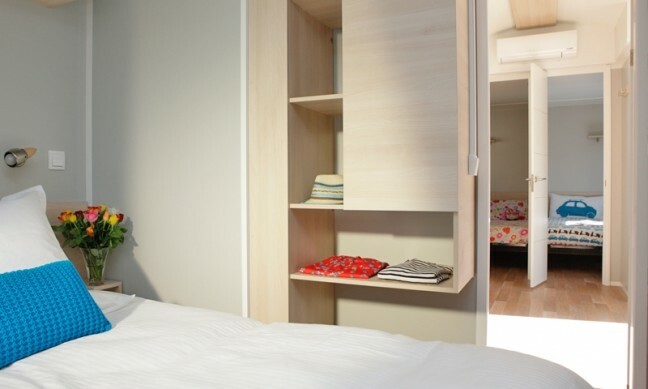 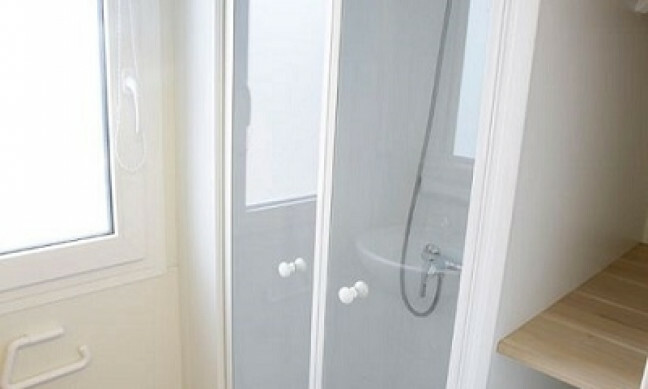 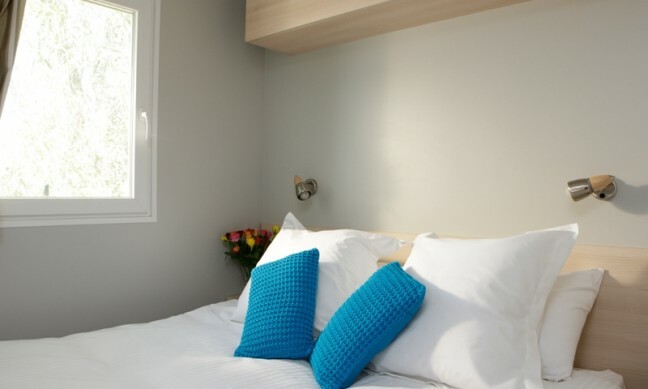 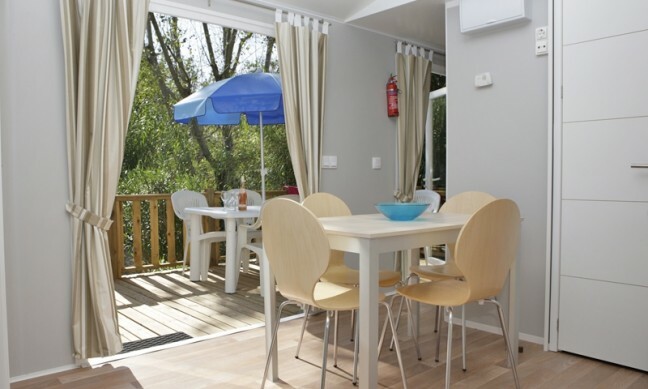 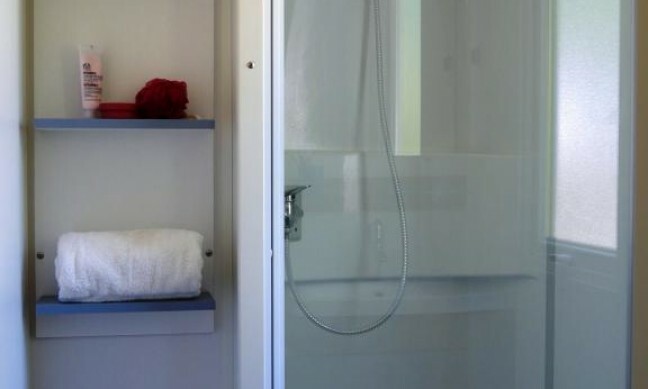 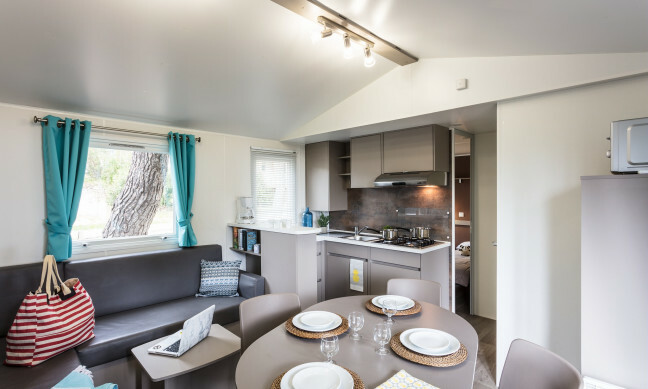 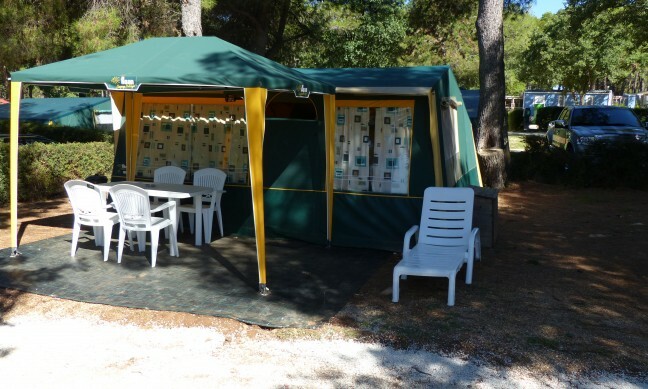 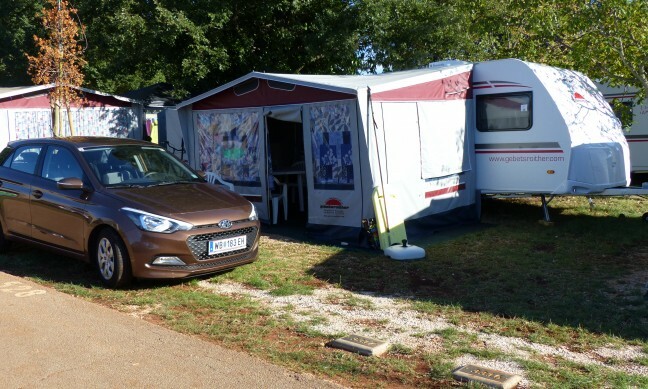 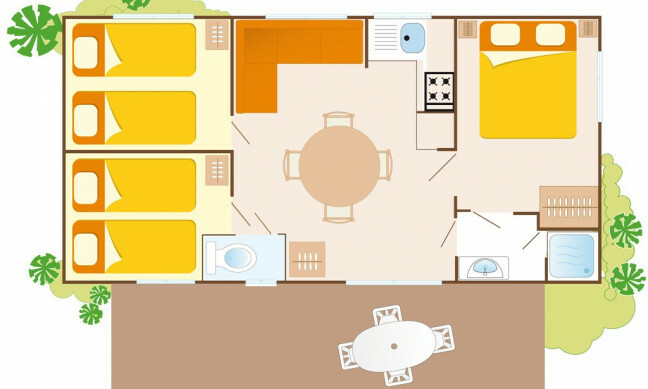 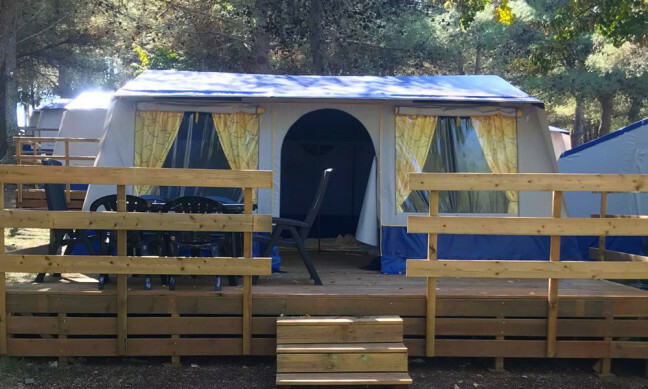 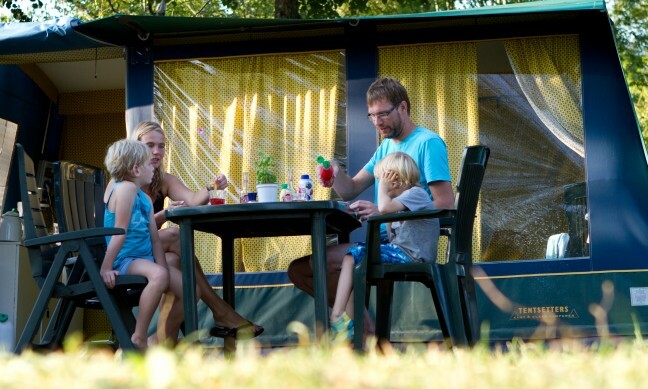 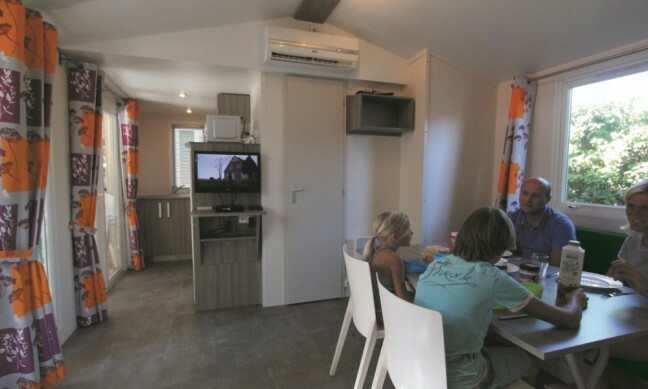 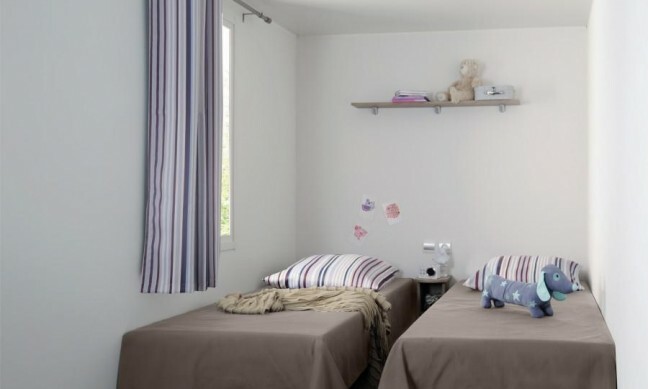 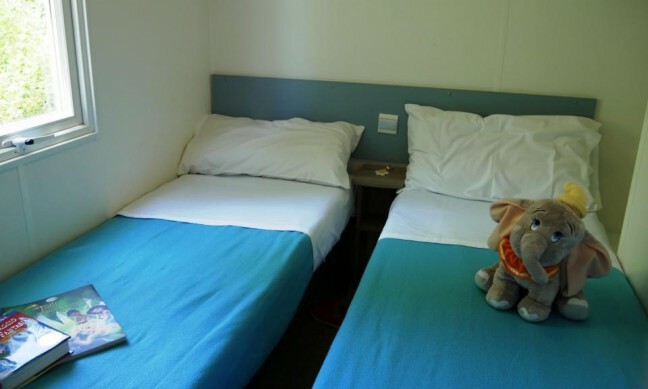 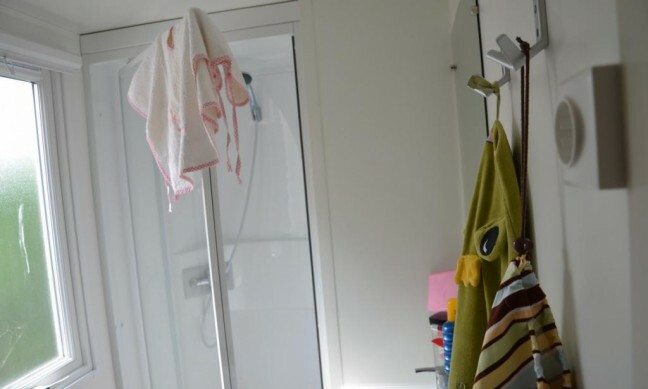 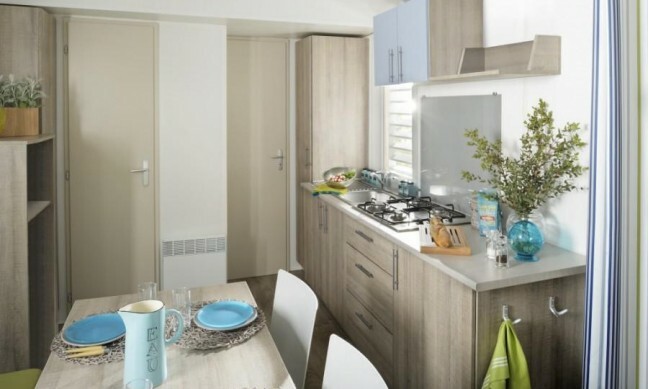 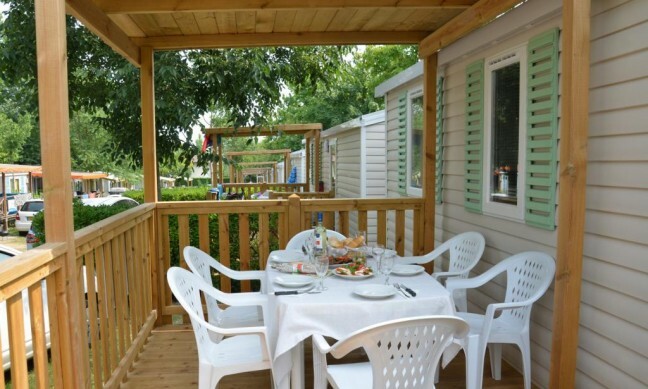 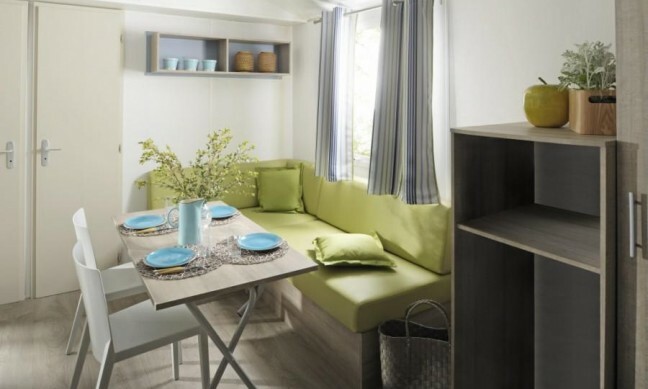 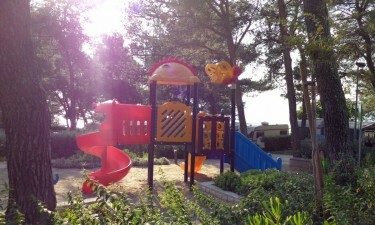 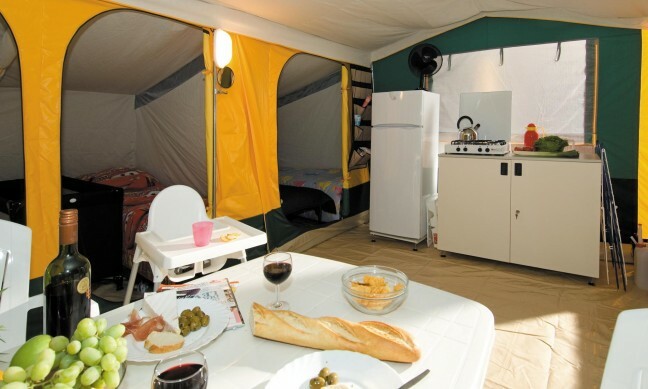 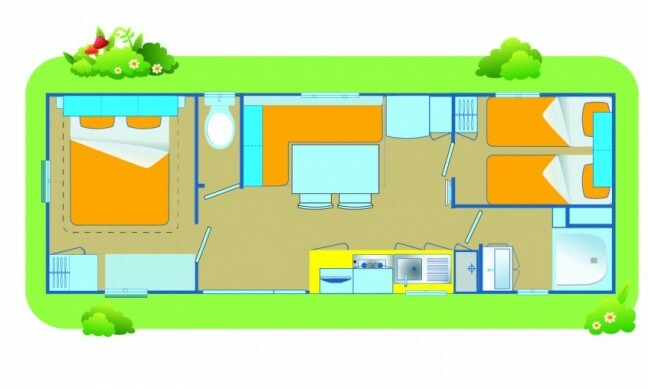 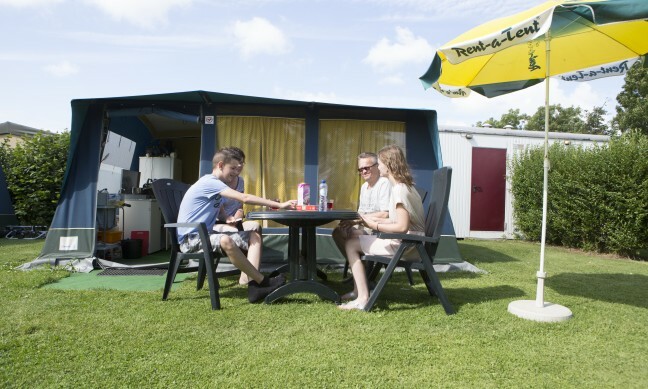 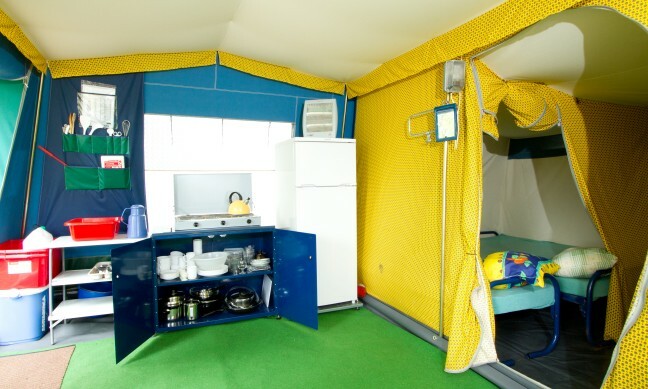 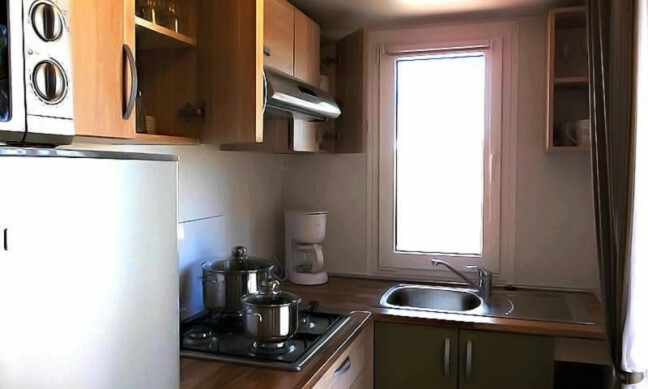 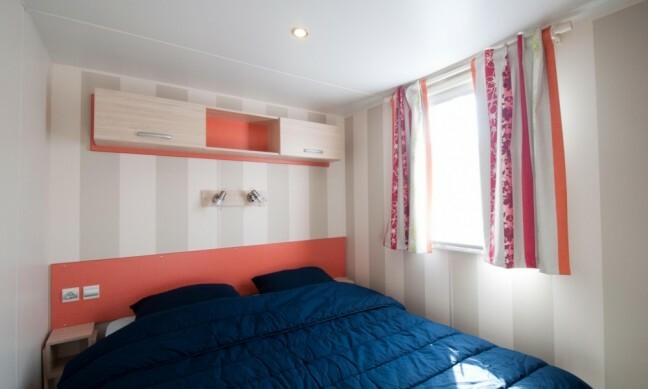 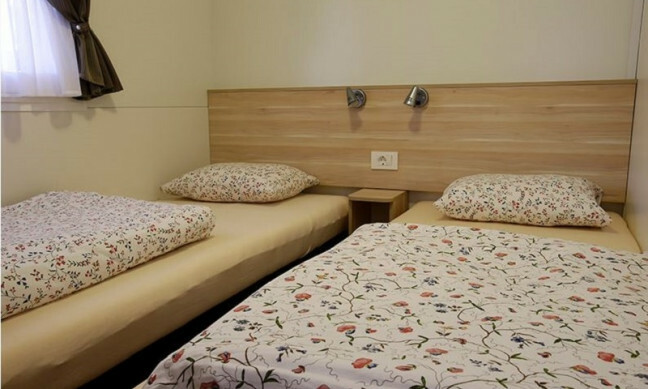 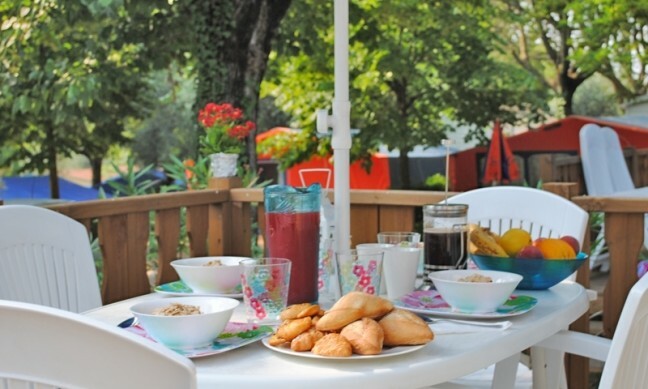 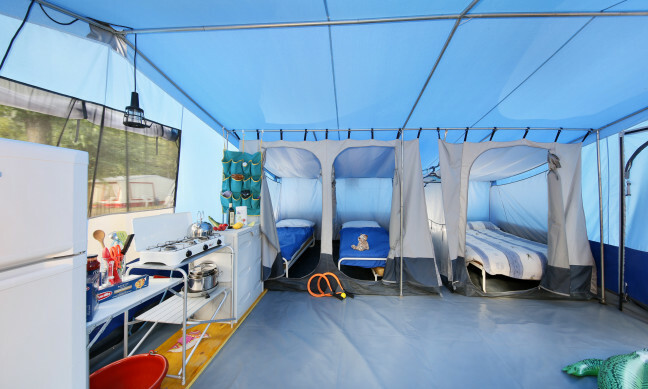 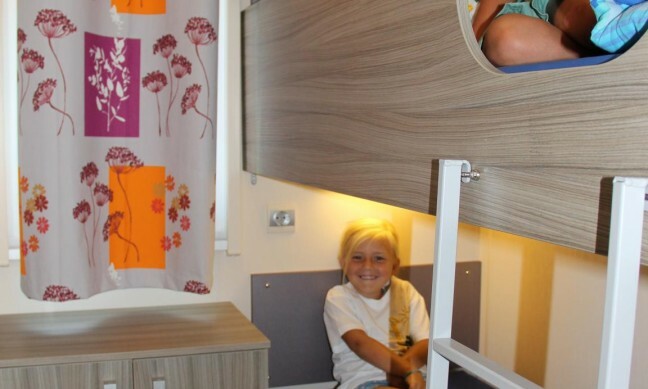 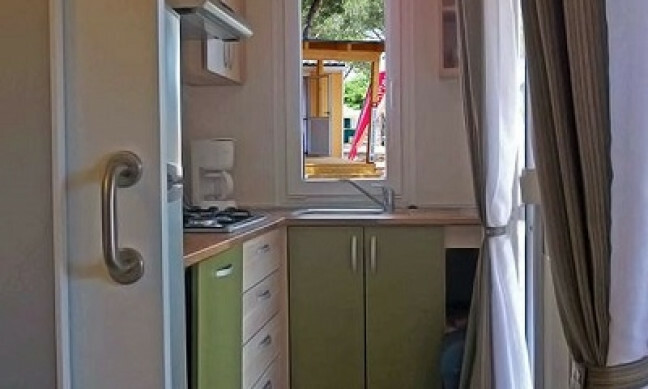 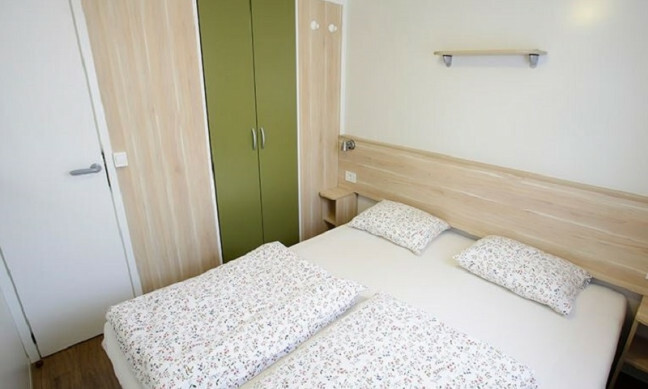 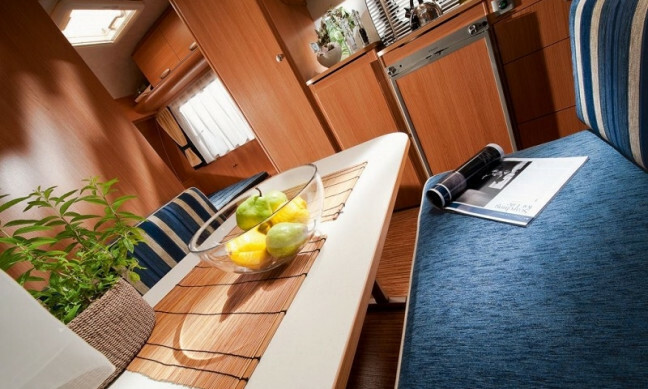 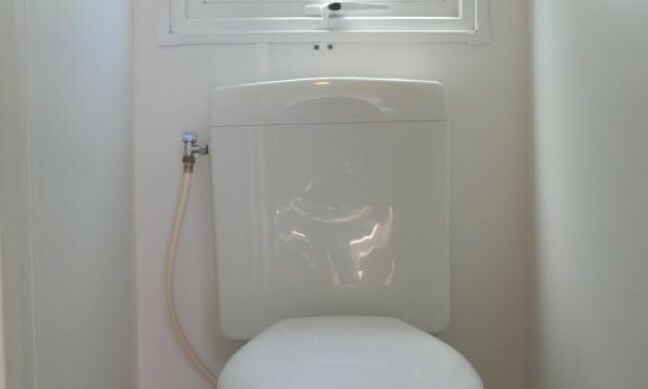 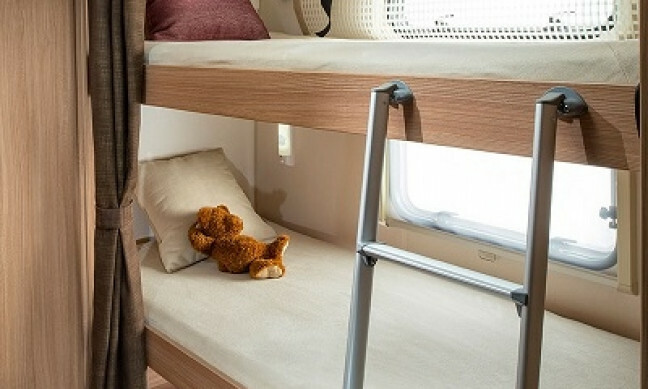 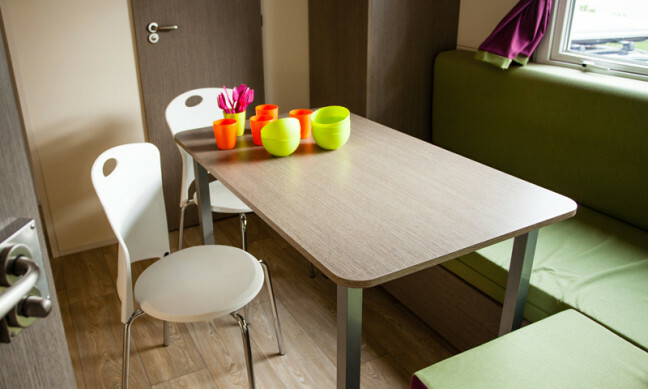 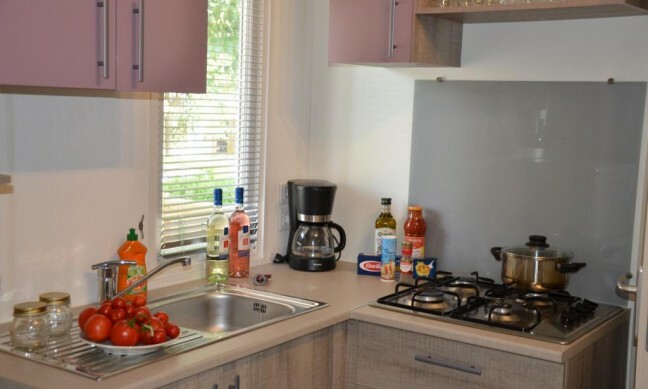 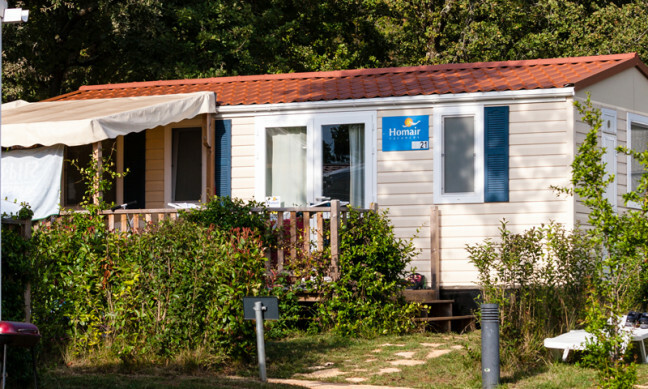 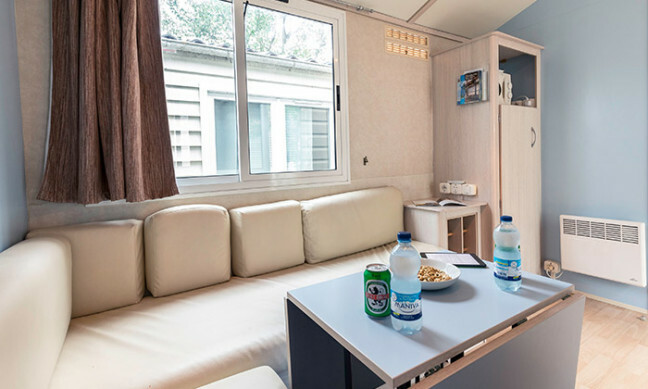 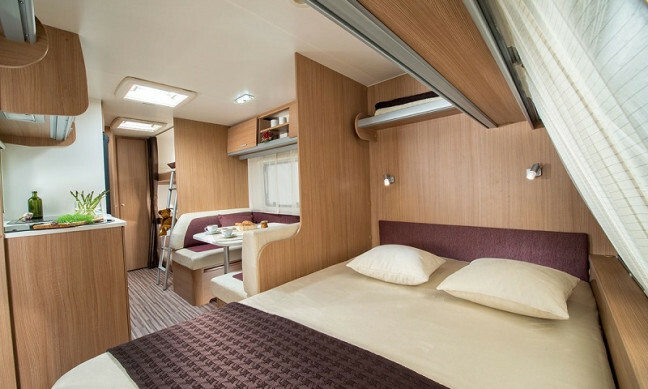 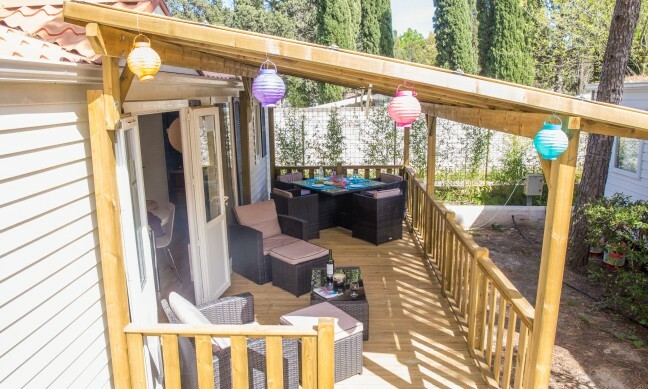 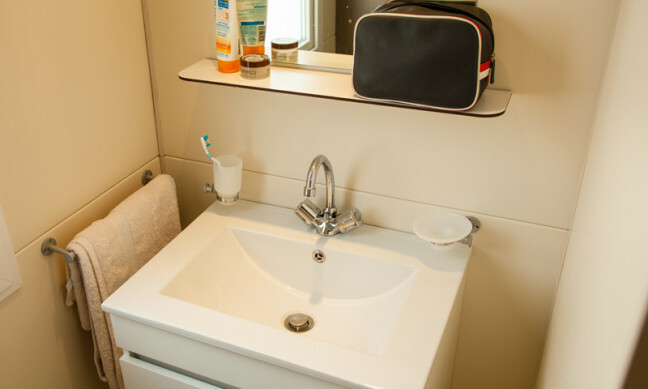 It is a lively and spacious campsite situated amongst Mediterranean nature, pine and oak forest. 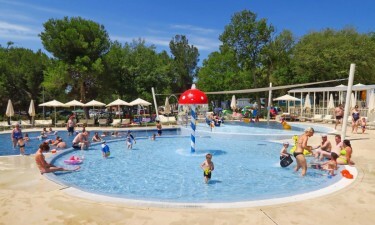 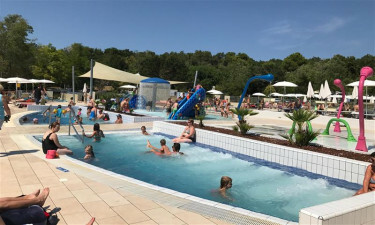 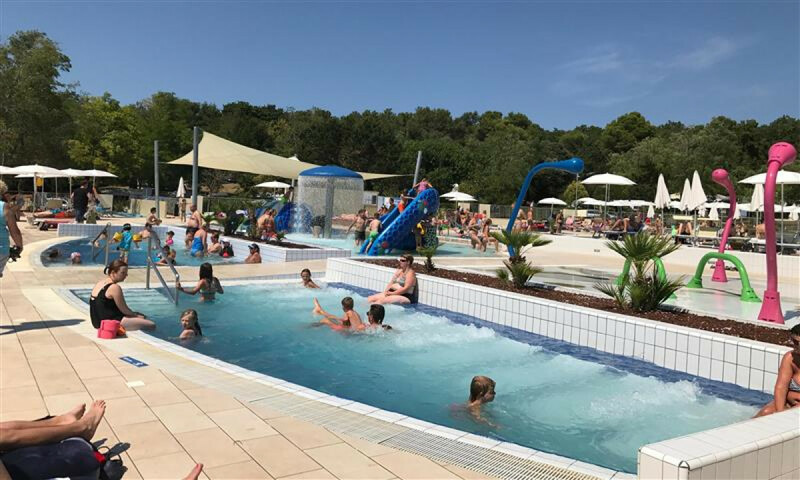 There are two swimming pool complexes at Camping Lanterna. 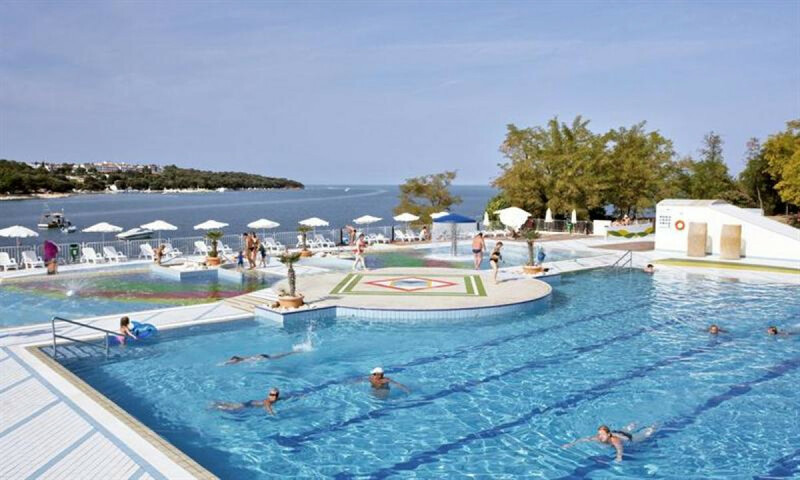 The largest pool complex, which includes a children’s pool and sunbathing areas, is located next to the bay. 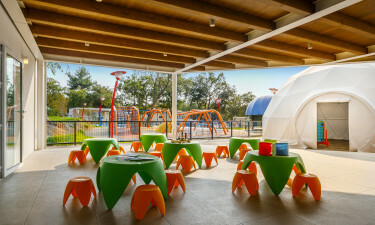 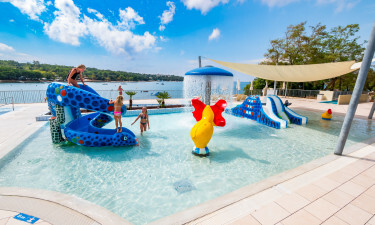 The children’s pool has a lovely activity area for the children. 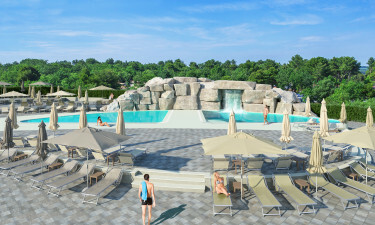 The other swimming pool is situated in the beautiful forest and suitable for younger children (opening mid June). 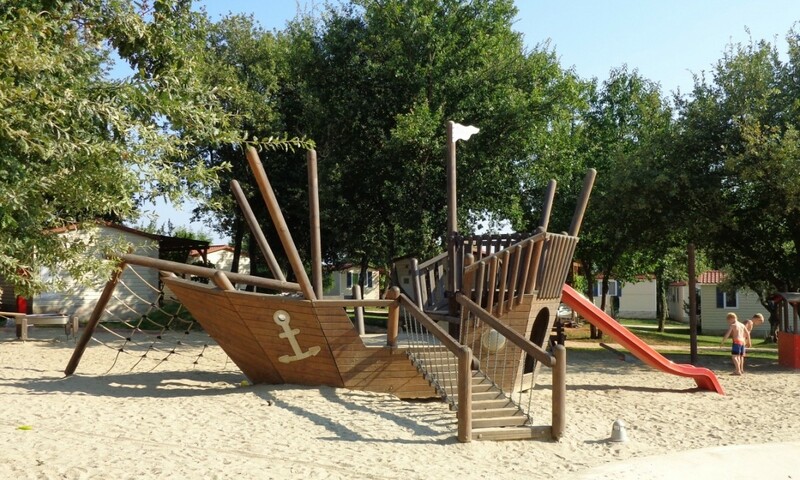 They will play for hours around the pirate ship with several slides. 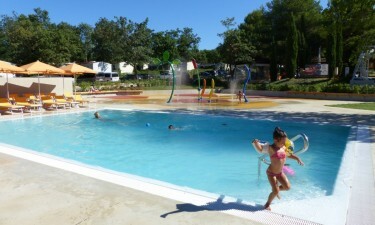 Around this pool are large grassy areas for relaxing and a playground for children. 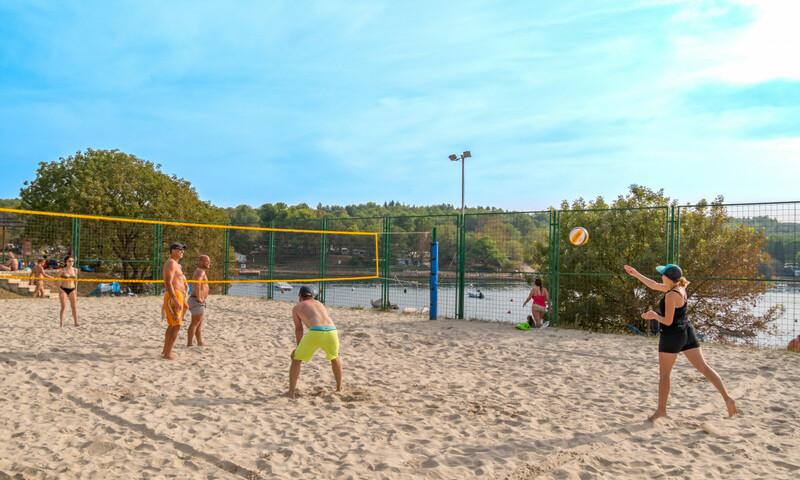 In the pretty bay at Camping Lanterna you can try out water sports such as surfing, snorkeling and water-skiing. 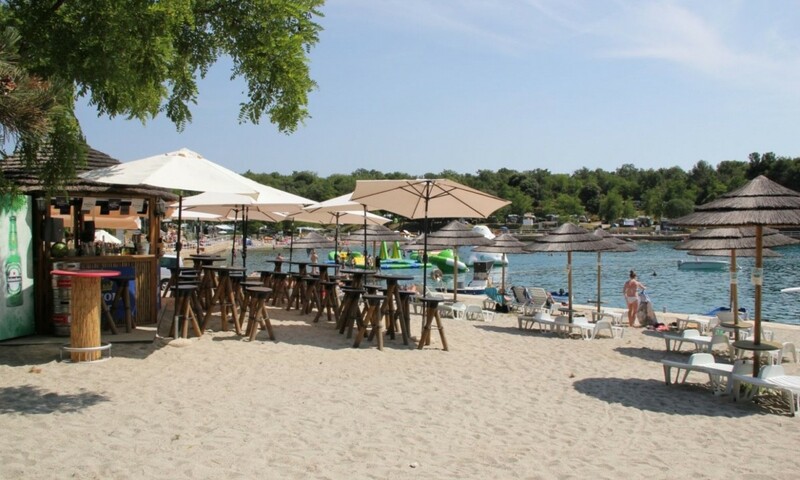 Part of the beach has been turned into a sandy beach with a beautiful beach bar! 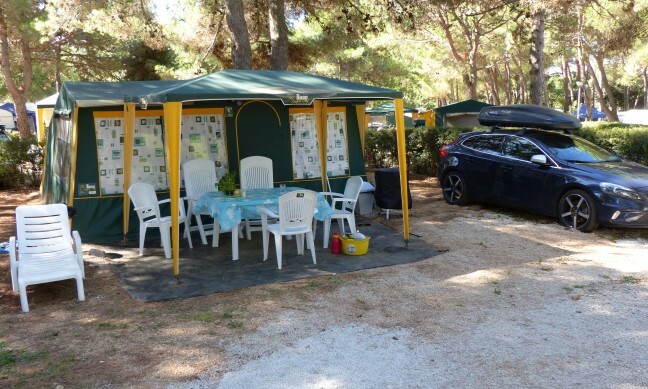 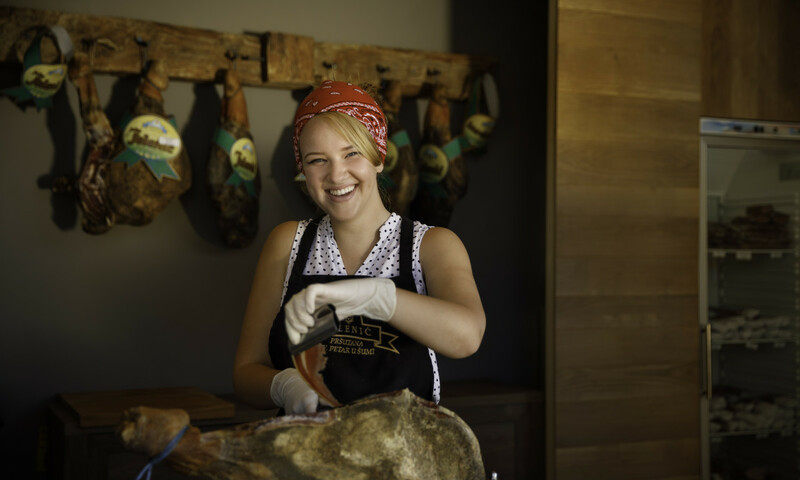 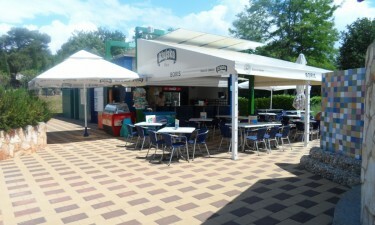 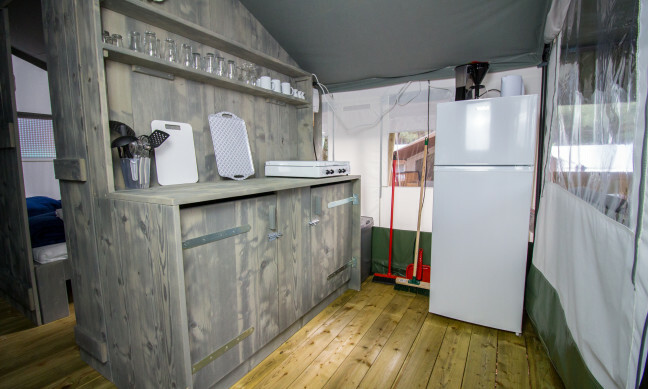 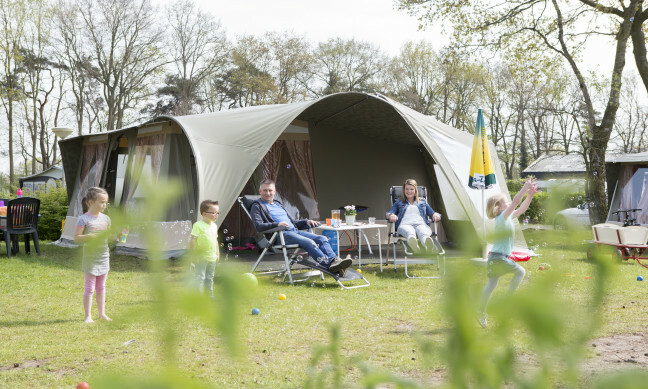 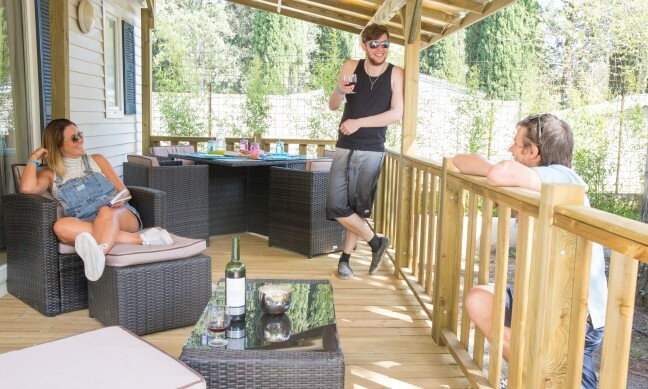 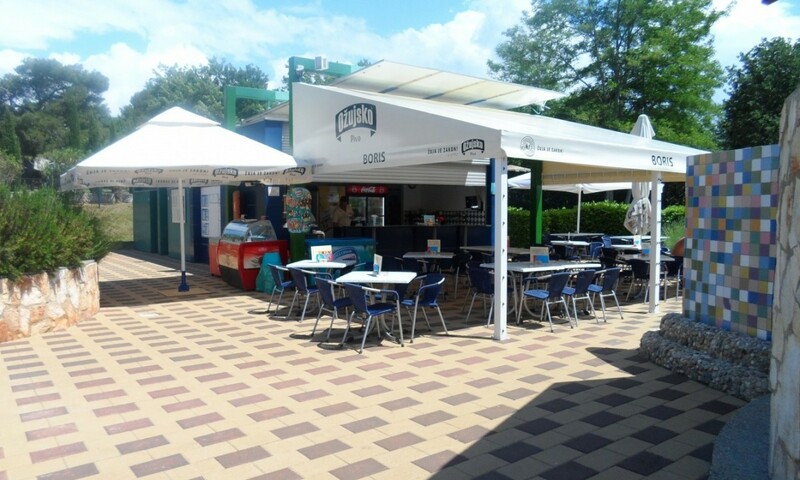 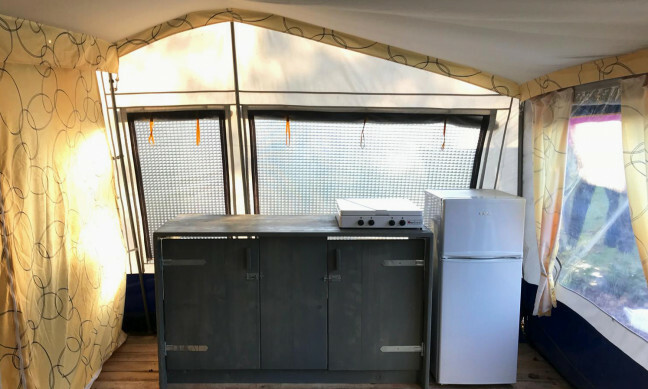 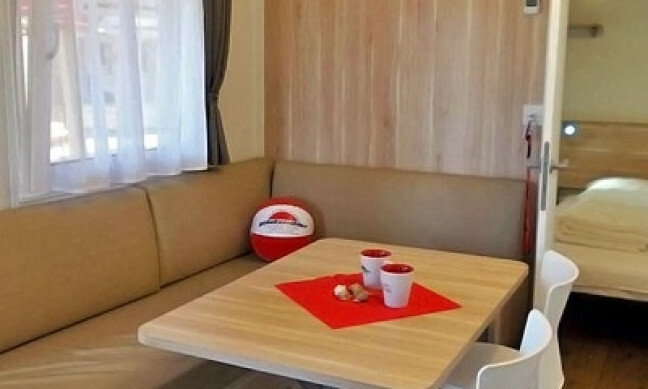 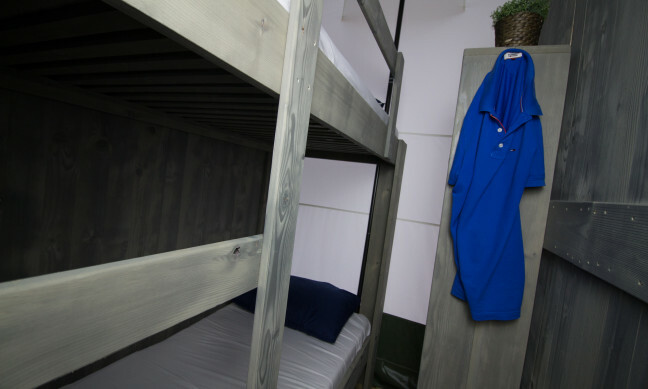 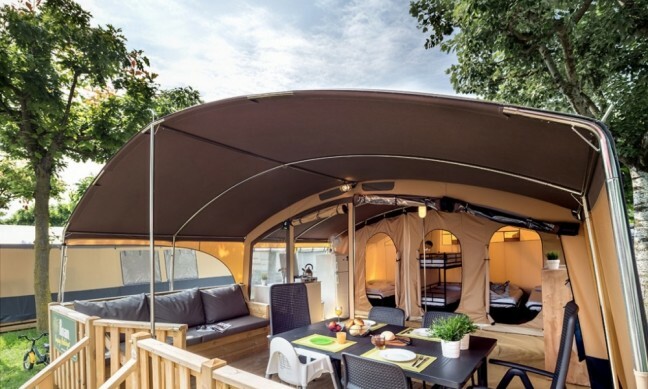 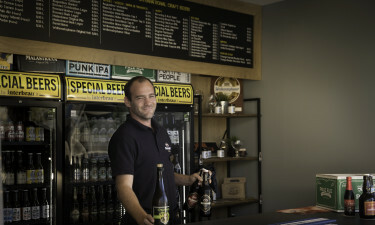 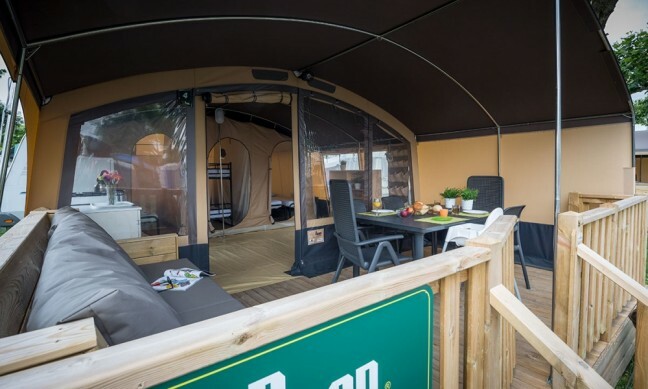 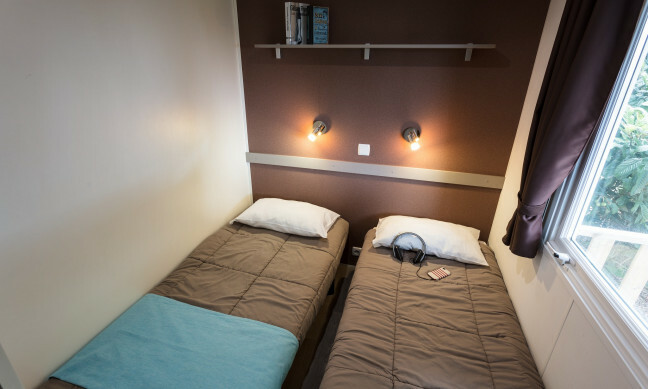 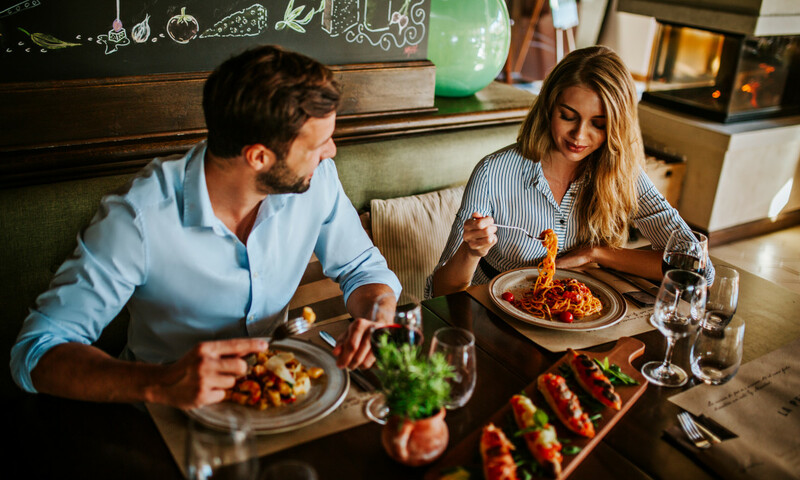 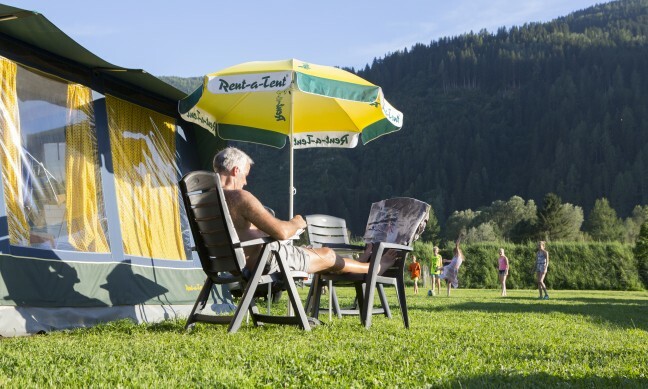 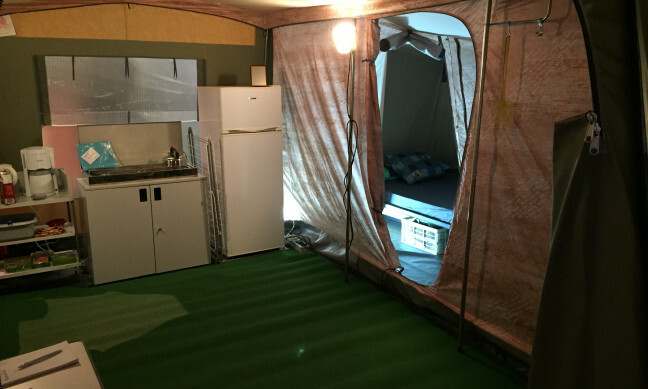 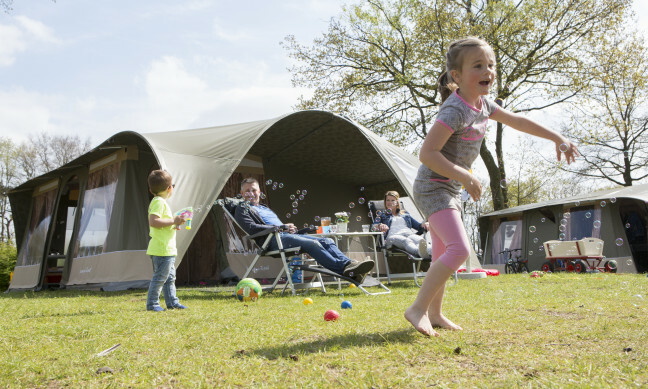 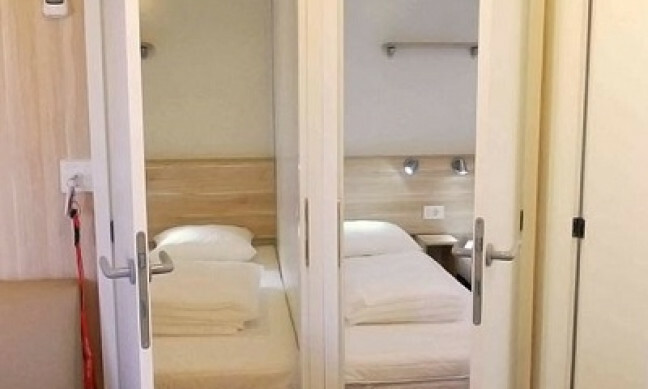 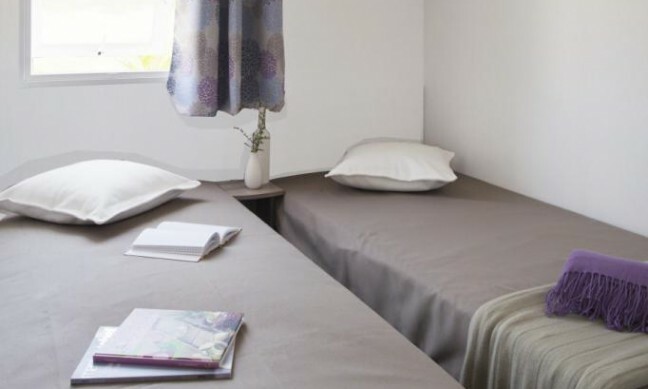 Camping Lanterna offers two restaurants and a pizzeria. 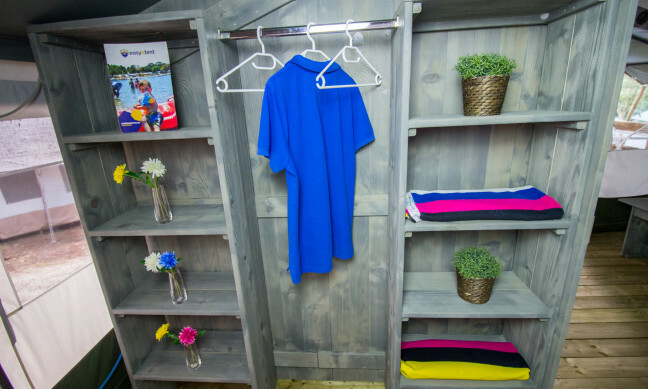 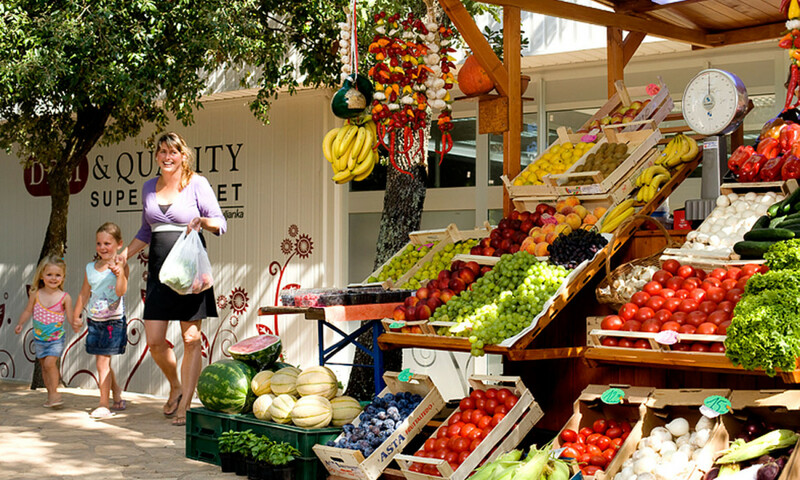 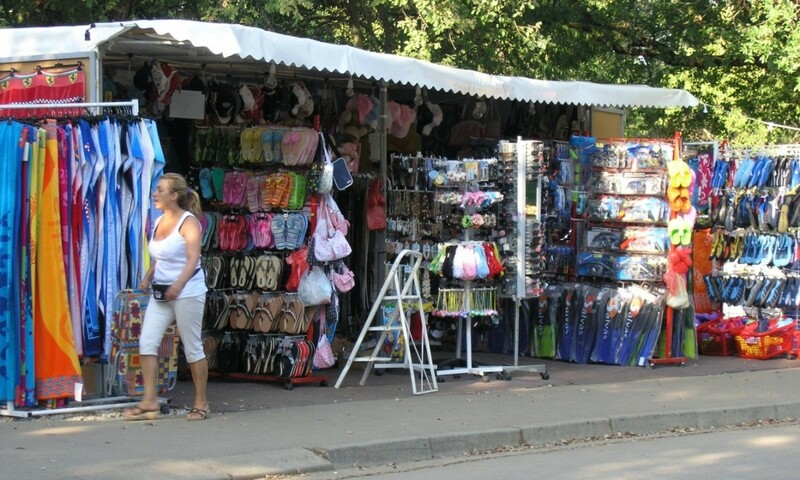 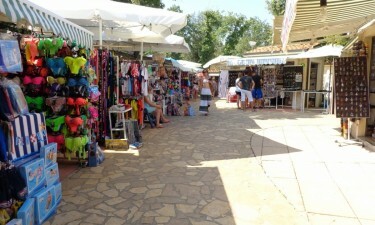 The campsite has several supermarkets and bakeries, and many little stalls selling clothes, jewellery, swimwear and much more. 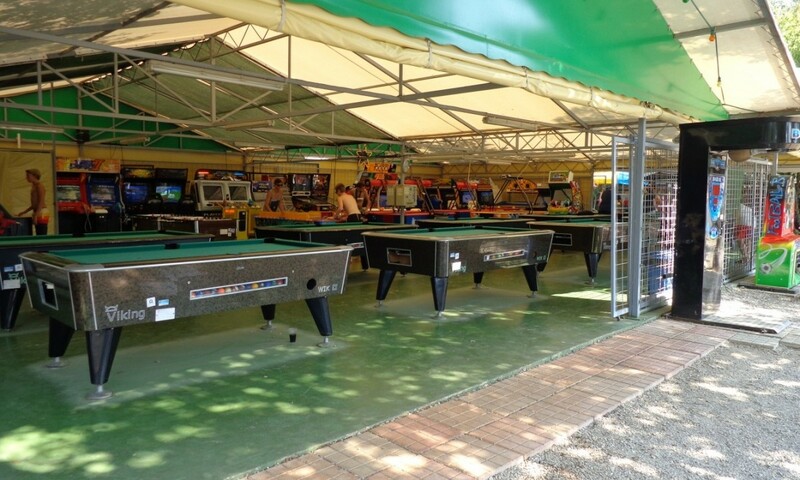 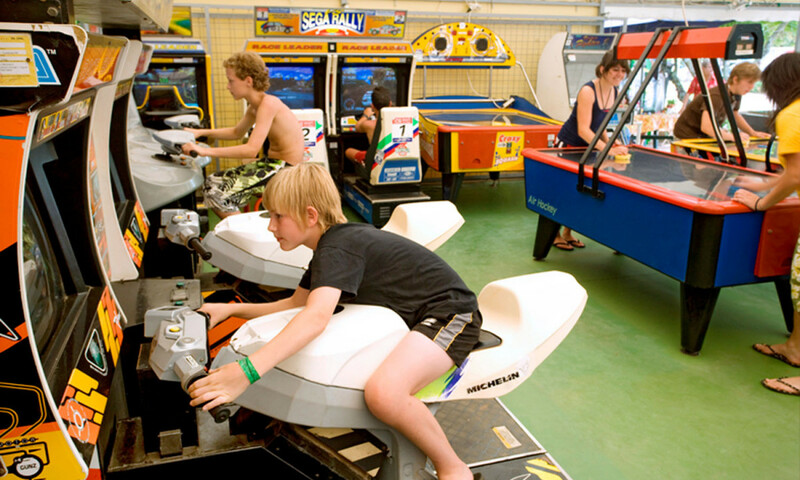 The amusement center is the meeting place for teenagers with pool tables, slot machines and several other exciting games. 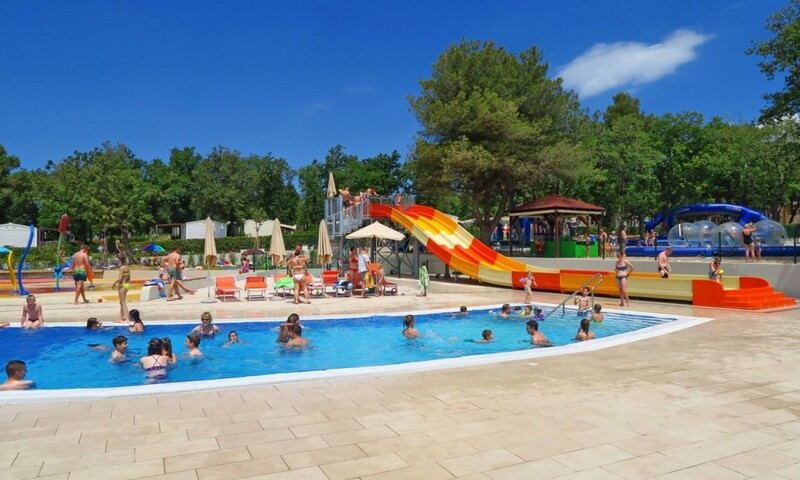 The disco for teenagers is about a 15 minutes walk from the campsite. 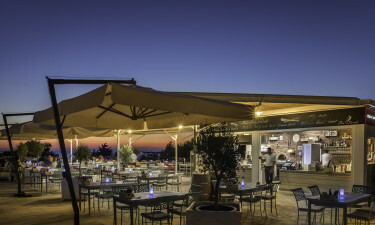 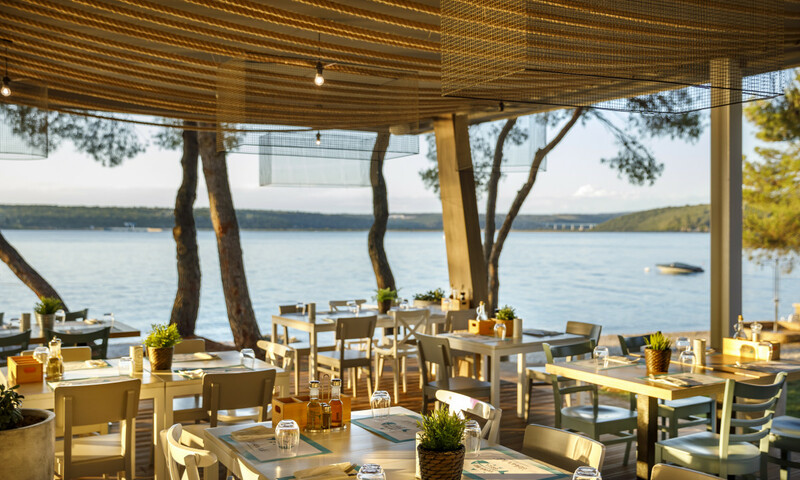 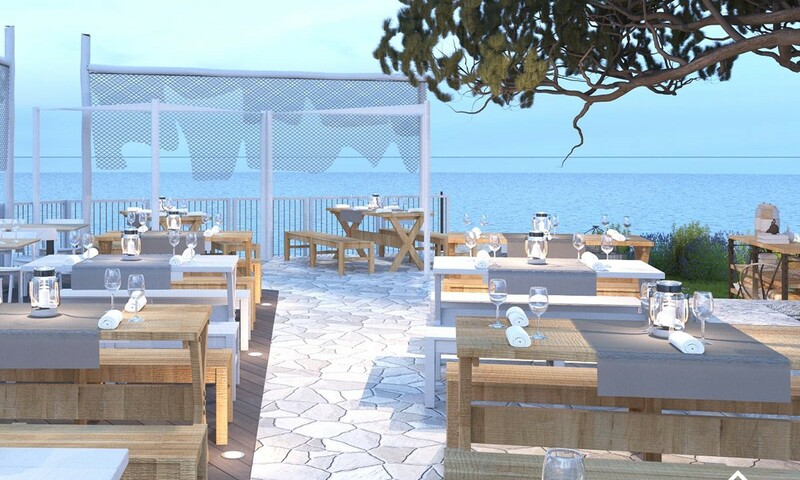 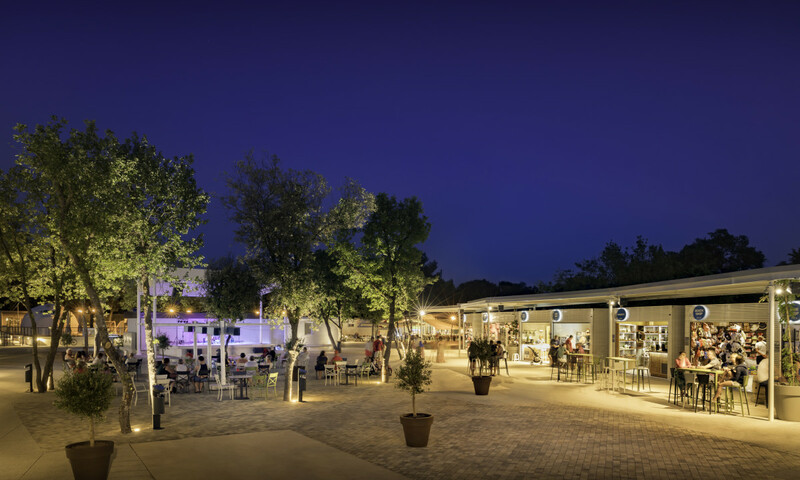 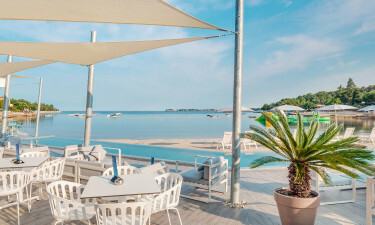 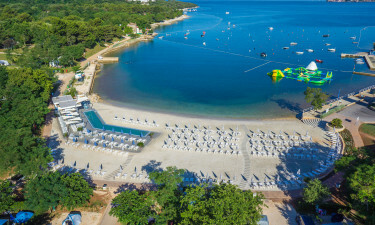 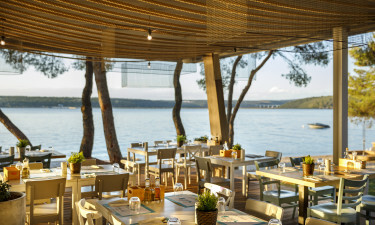 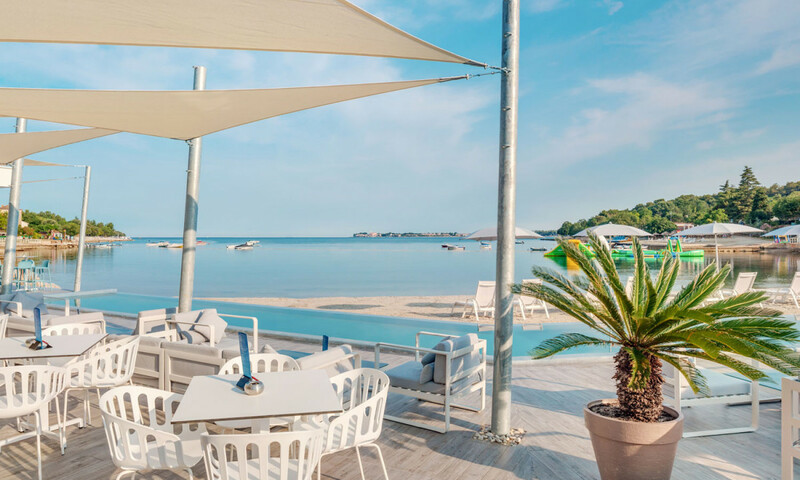 The enthusiastic animation team organizes baby dance, shows and musicals at the Adria restaurant, which has a great view of the magnificent bay. 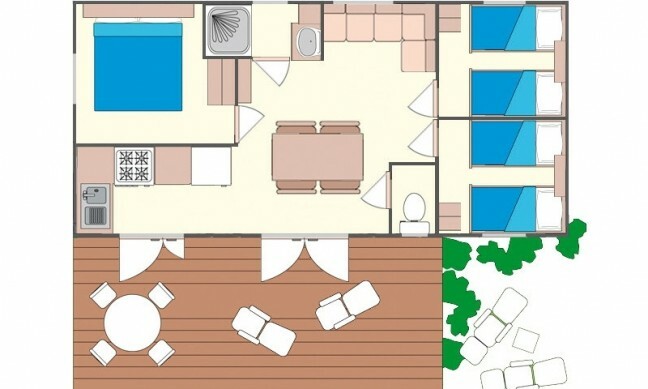 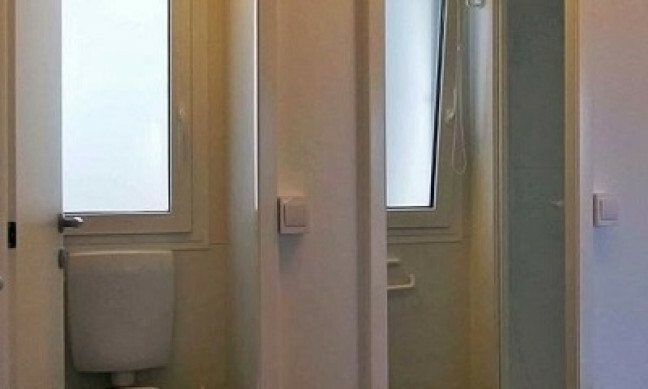 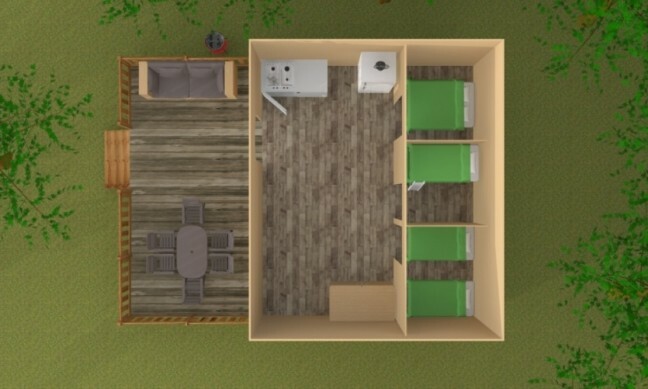 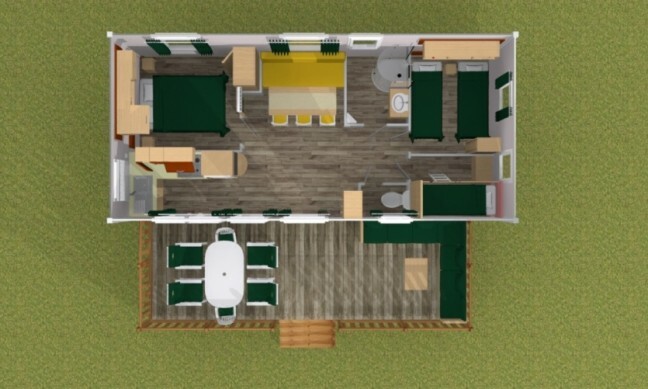 There is also an indoor theater for the whole family with a cinema. 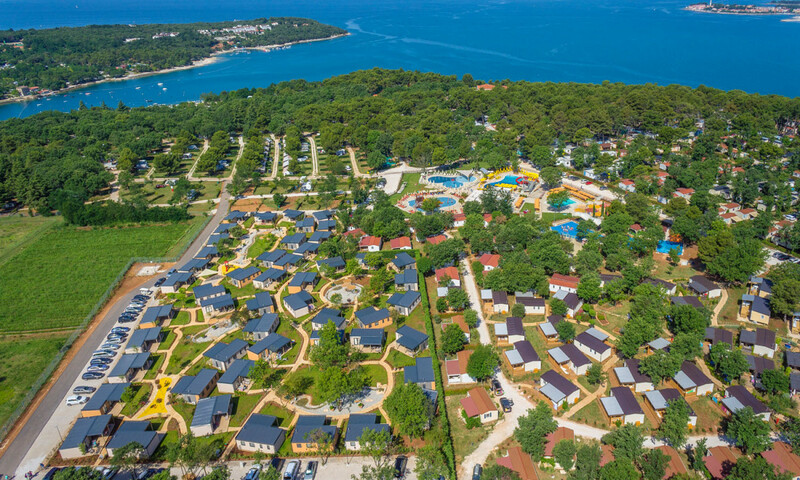 A short drive away is the old tourist village of Porec with its many narrow streets, authentic squares and a wide range of restaurants and shops. 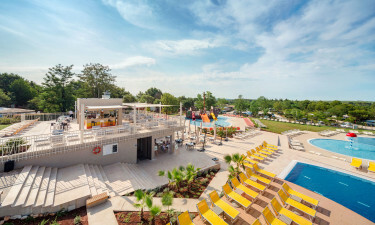 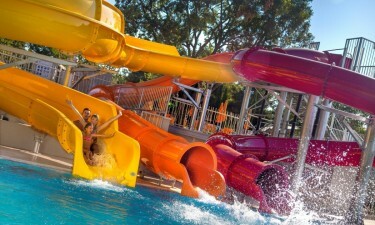 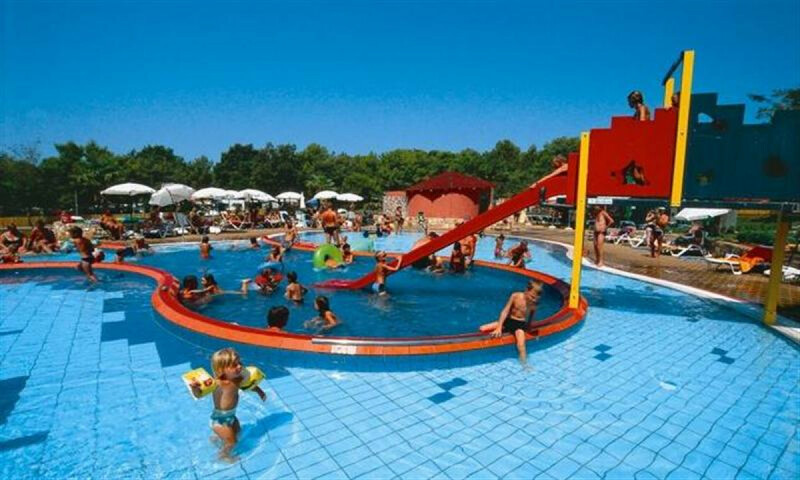 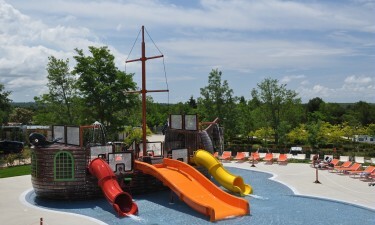 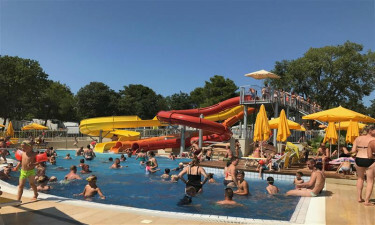 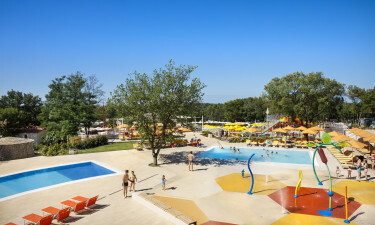 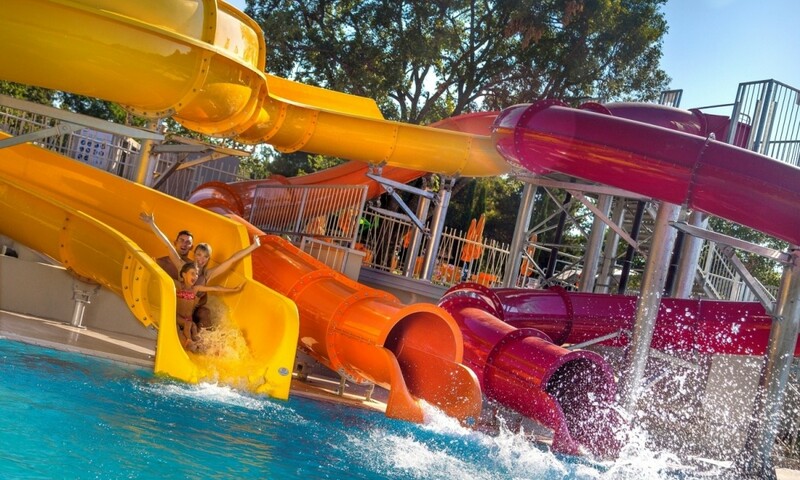 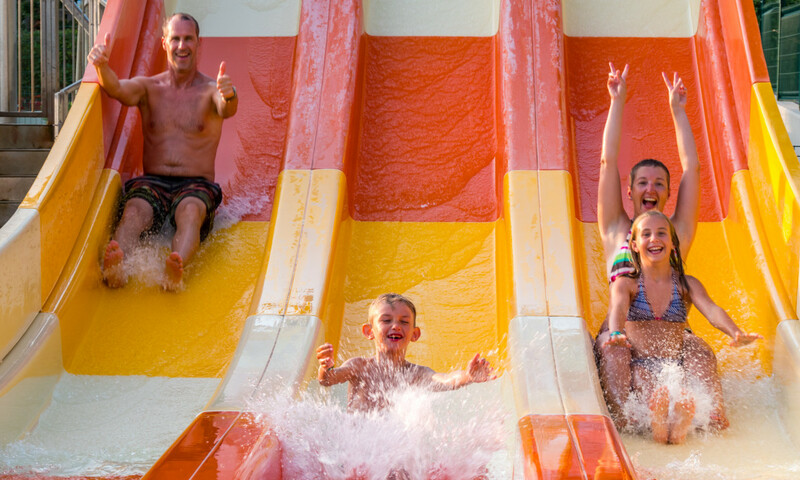 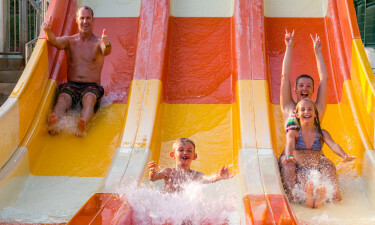 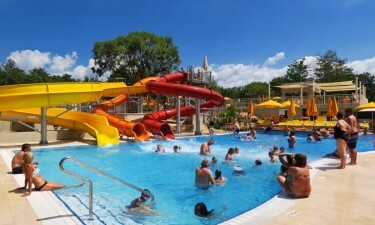 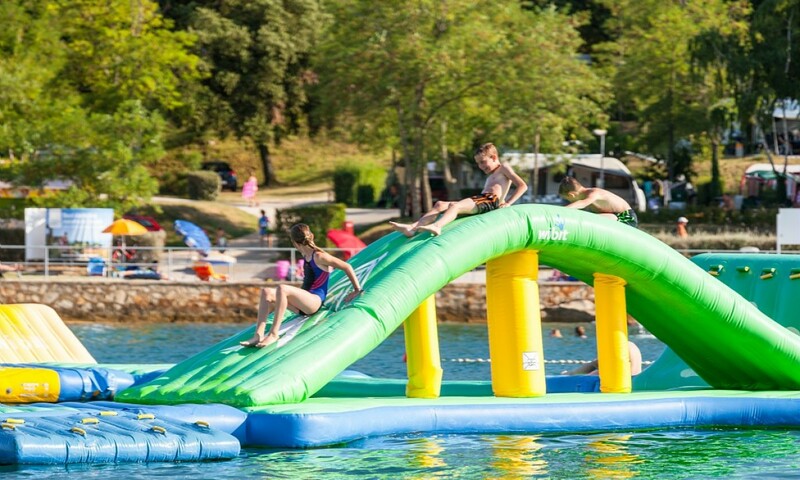 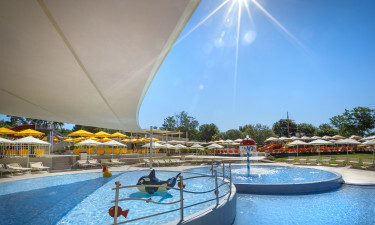 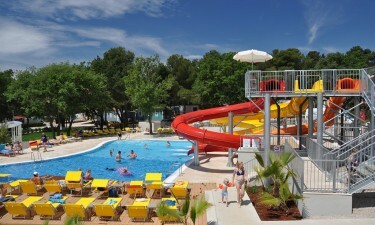 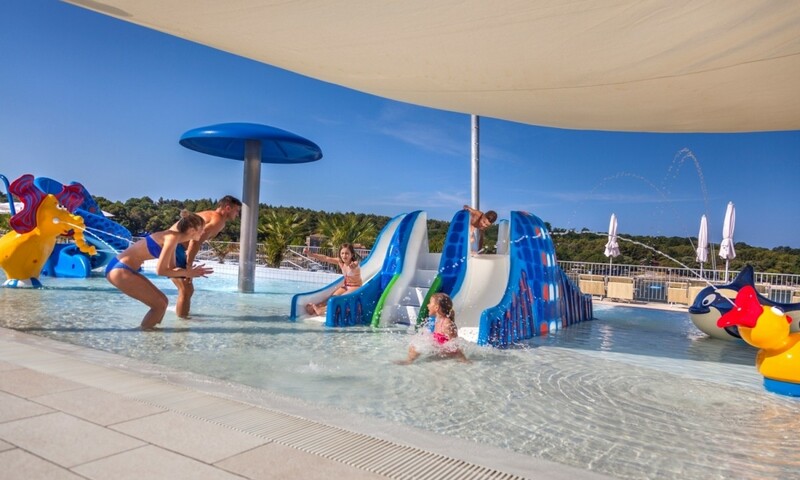 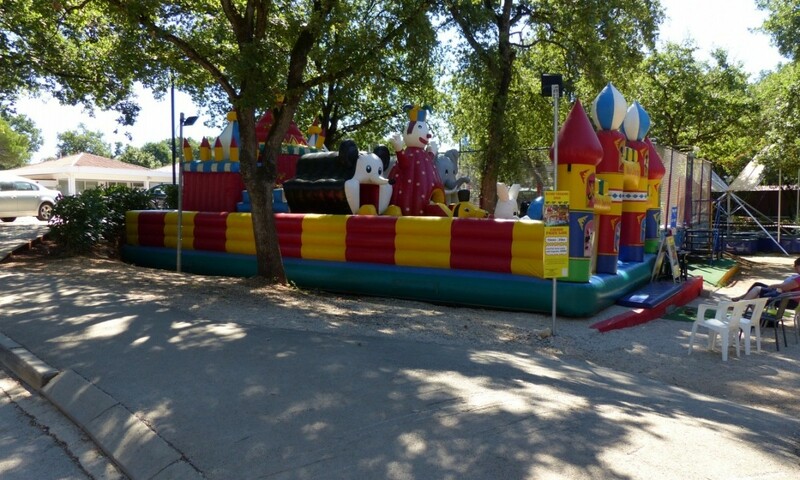 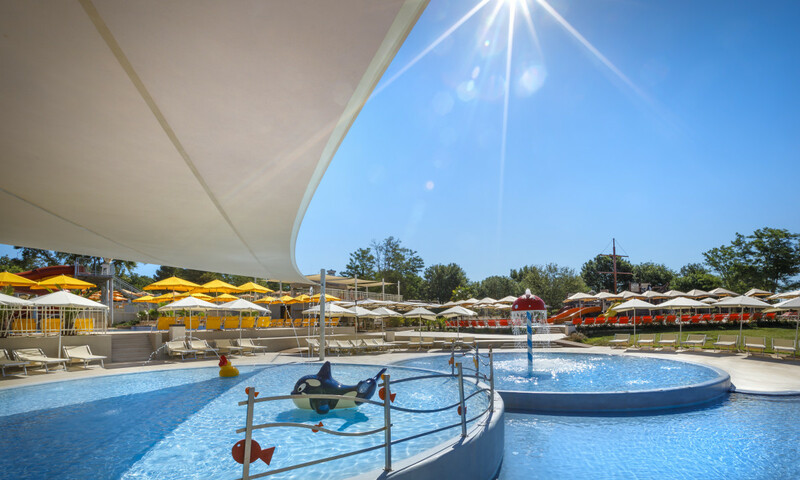 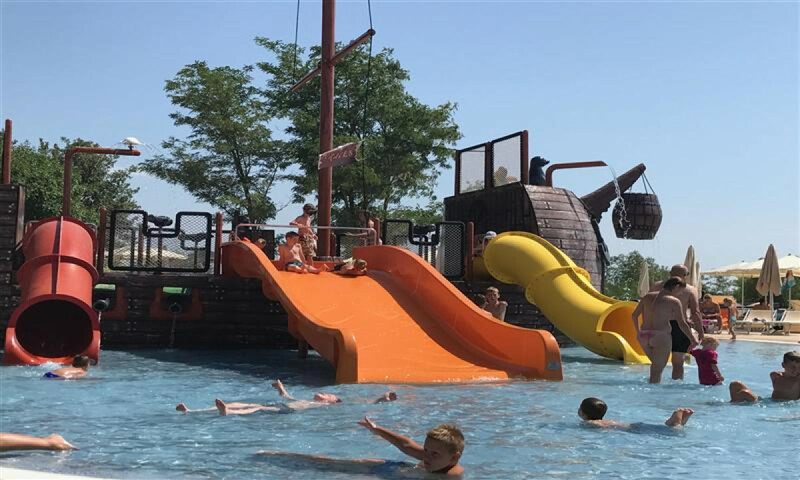 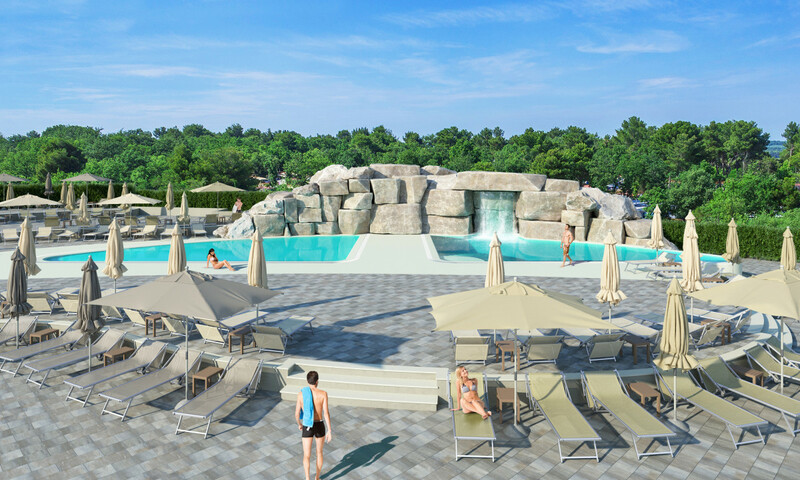 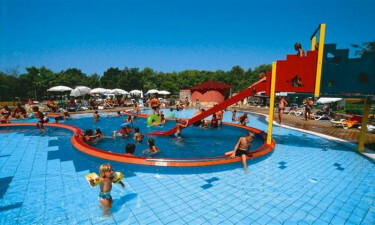 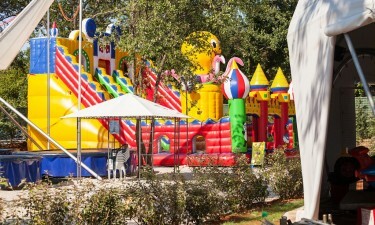 In July, the Itralandia water park is expected to open near to Camping Lanterna, which means fun for the entire family!